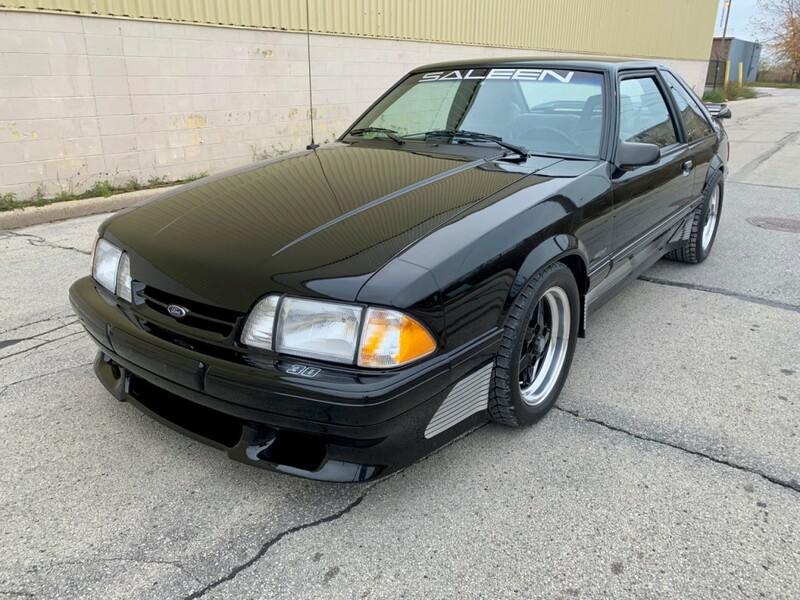 From my personal collection comes this very special, and very menacing, 1990 Saleen Mustang. 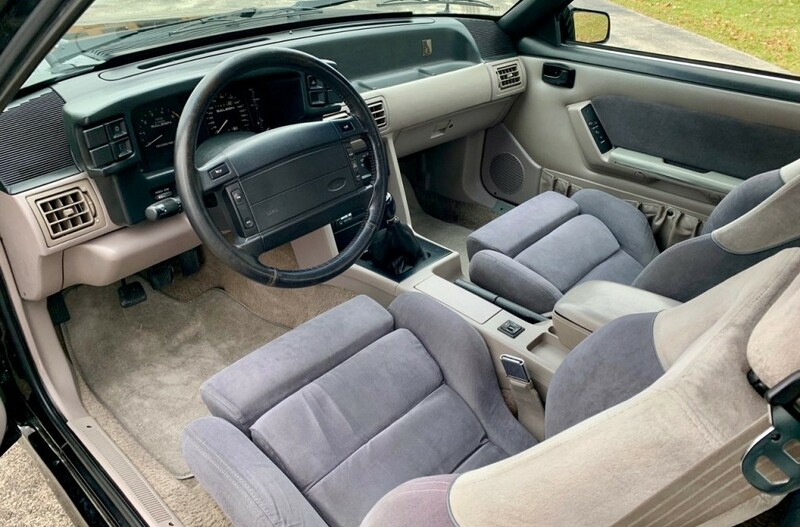 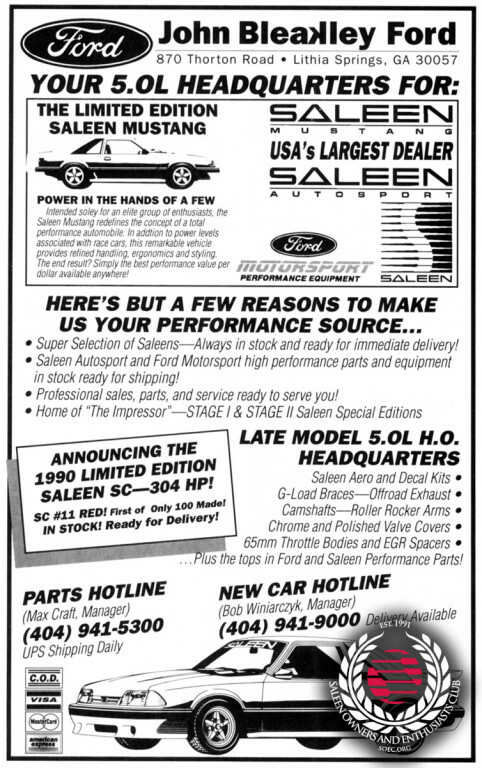 It is Saleen serial #30, and 1 of just 173 Hatchbacks built for the 1990 model year. 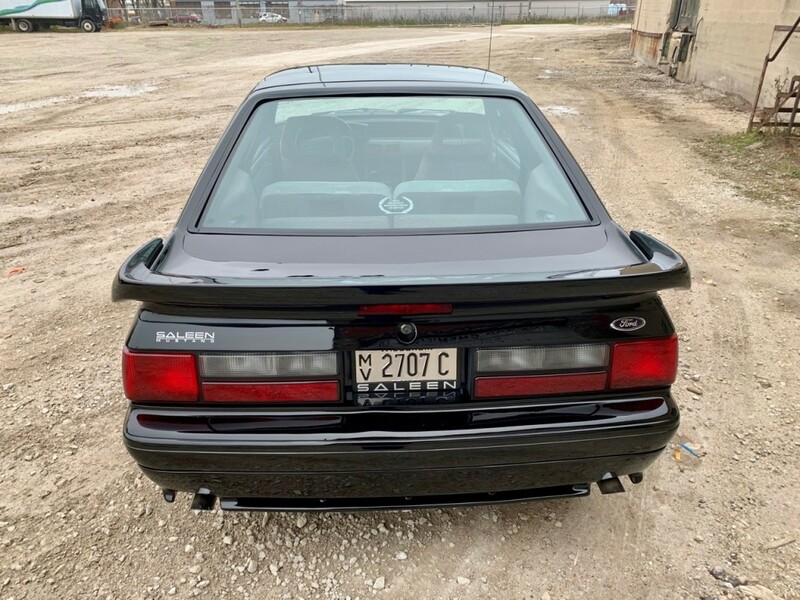 It is also one of just a few original black cars. 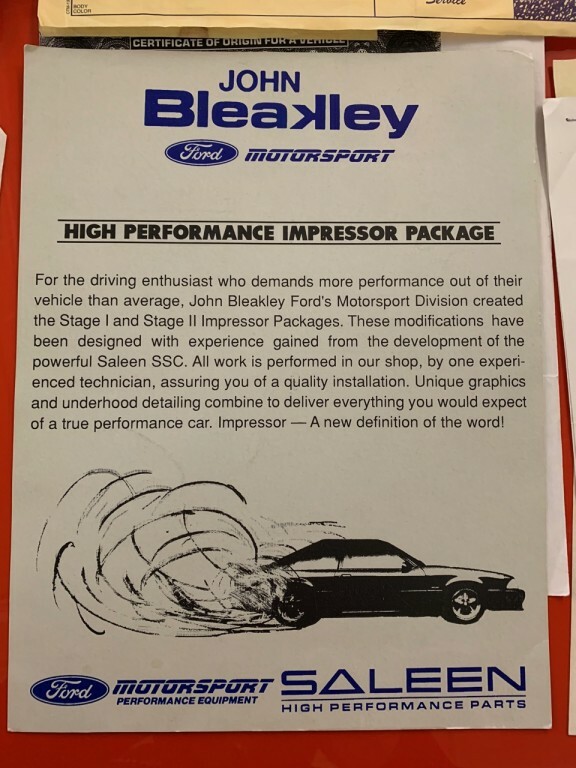 But beyond all of that #30 is also one of just a few documented original Bleakley Ford “Track Impressors”, also known simply as “Impressor” cars. 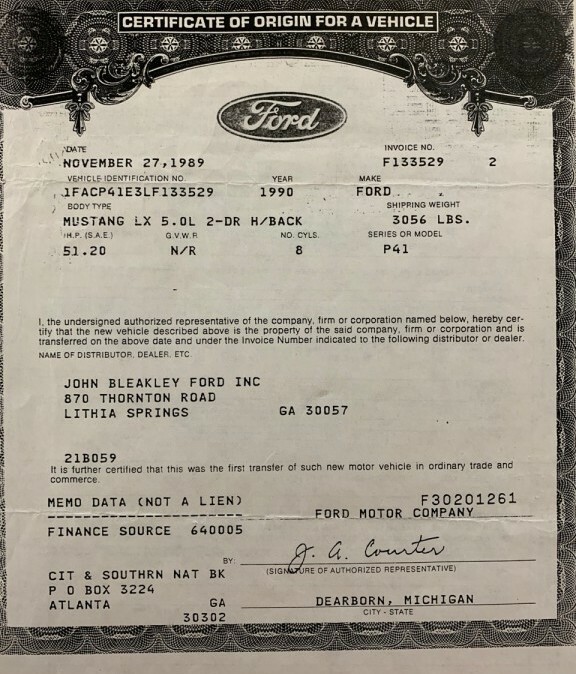 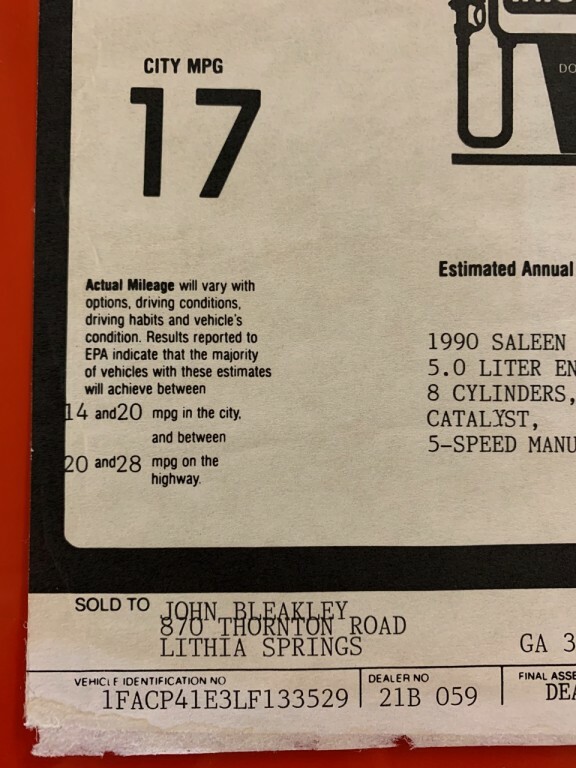 For a little background on all of this in the Fox Body years John Bleakley Ford of Lithia Springs, Georgia was the #1 Saleen Mustang dealer in the USA, and also an epicenter of Fox Body Ford Motorsport and JBA performance upgrades. 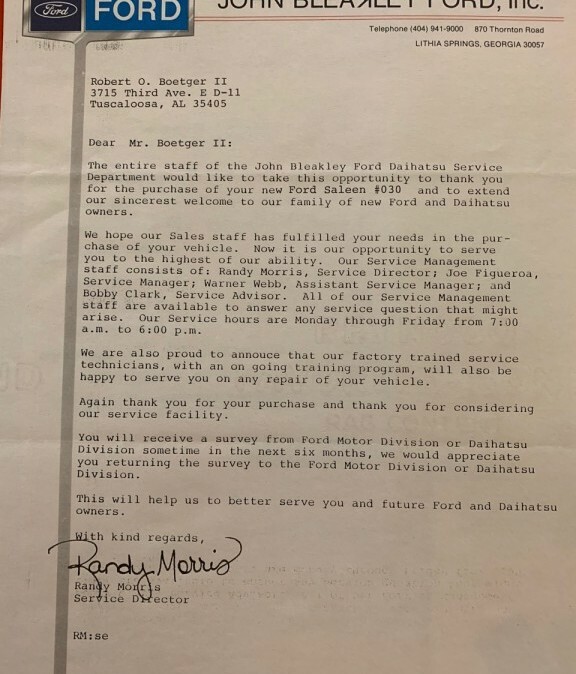 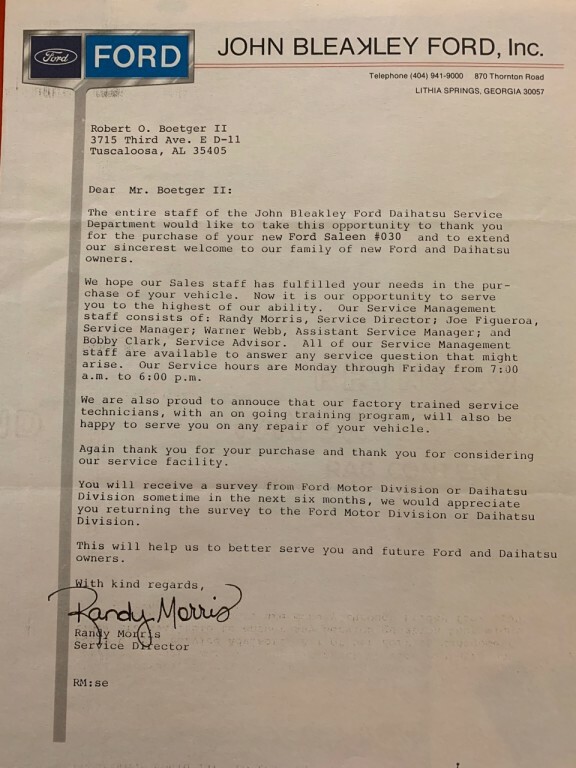 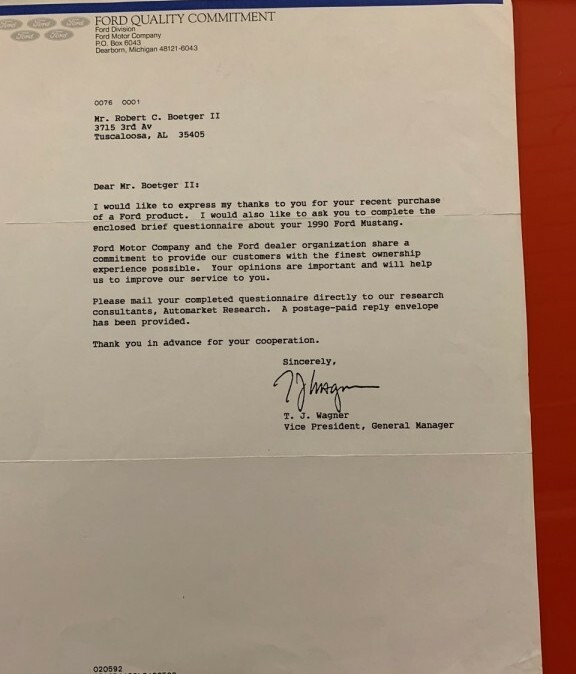 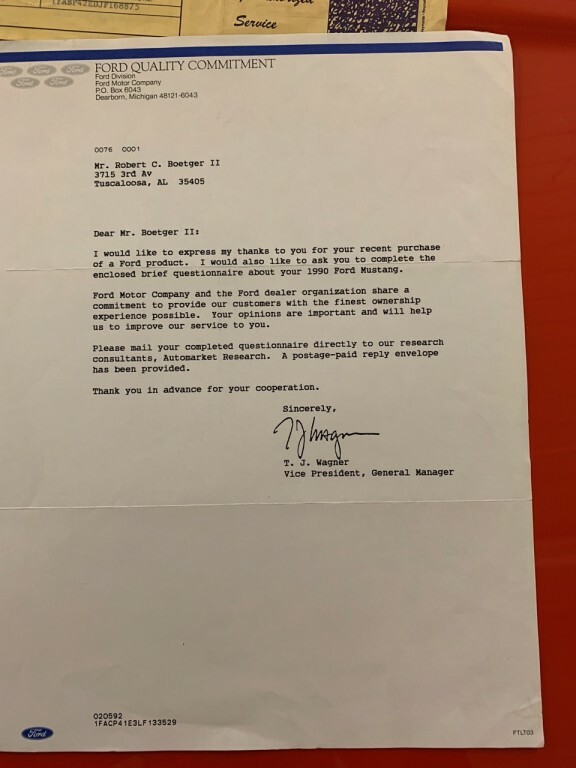 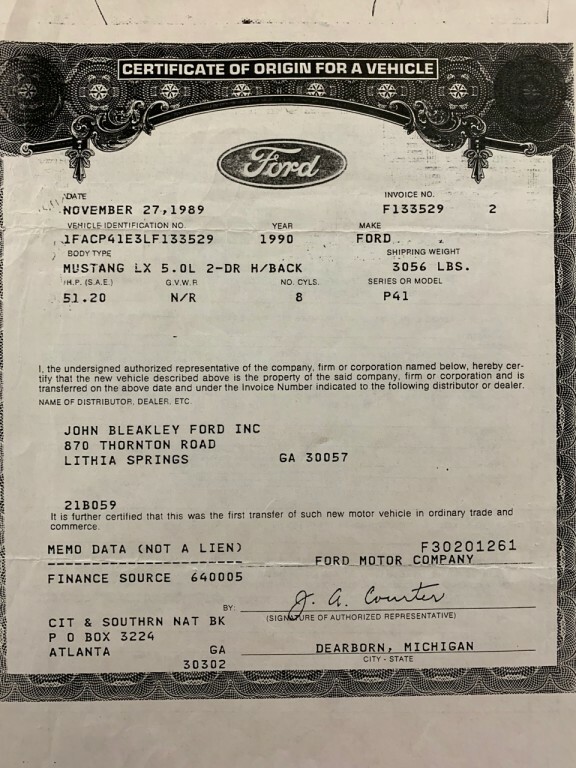 Bleakley Ford was to Mustangs in the 80s and 90s what the original “Supercar” dealers like Yenko Chevrolet and Mr. Norm’s Dodge were to their respective makes in the 1960s. 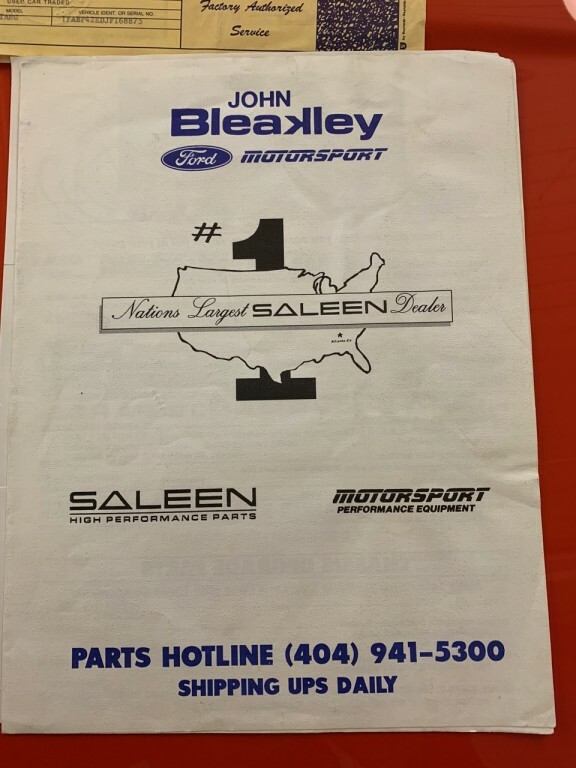 Most telling is the fact that Bleakley helped develop the 1989 Saleen SSC in house. 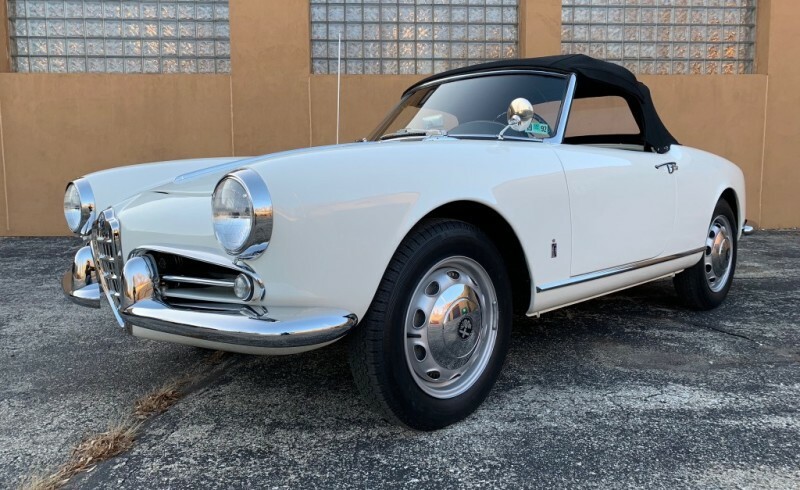 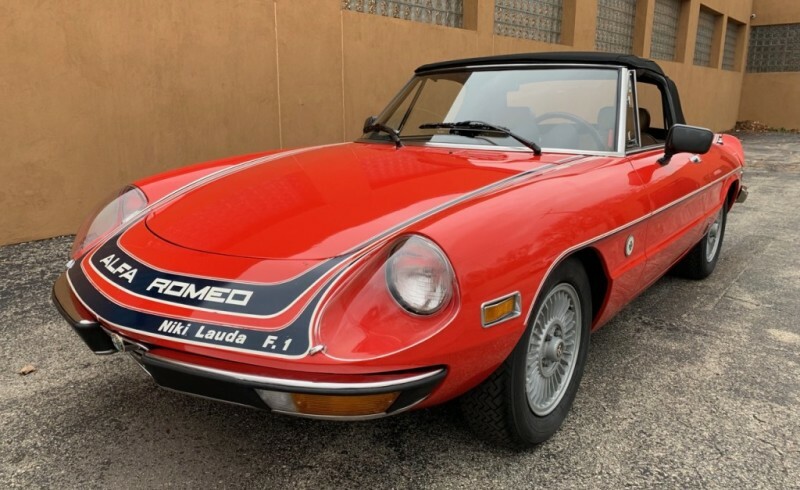 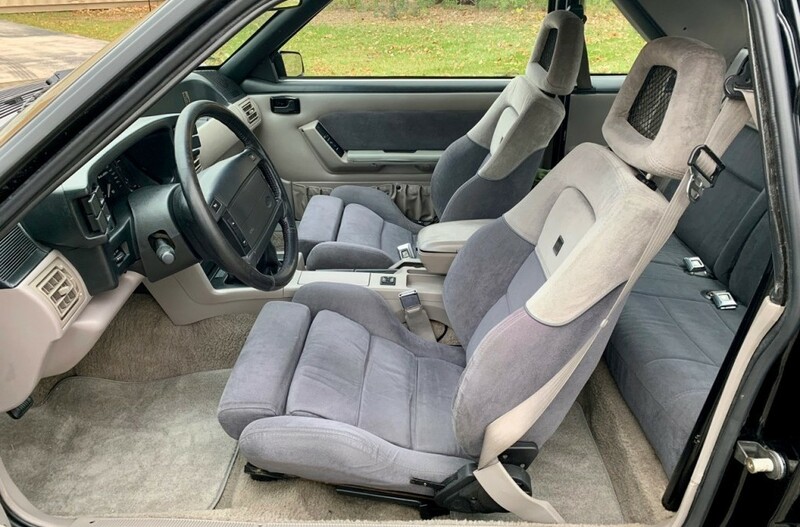 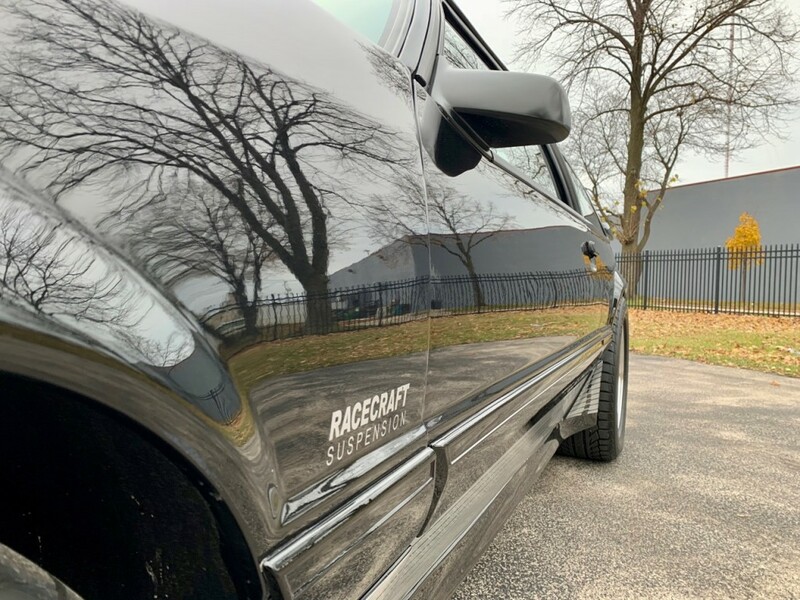 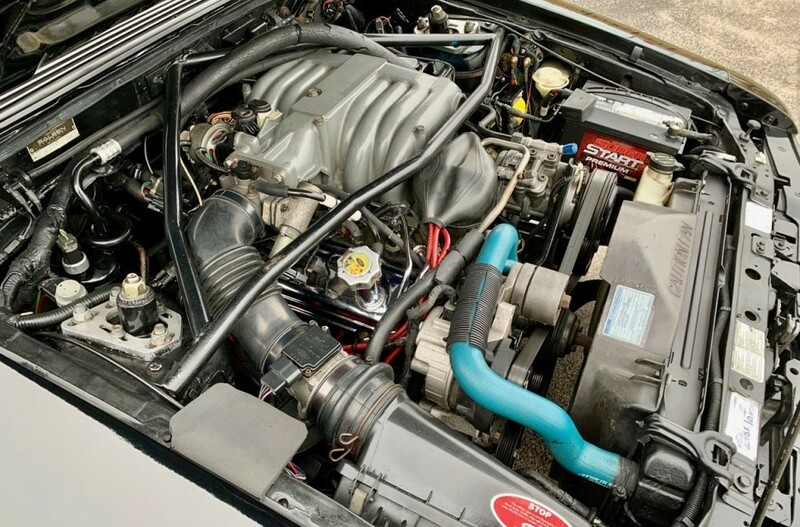 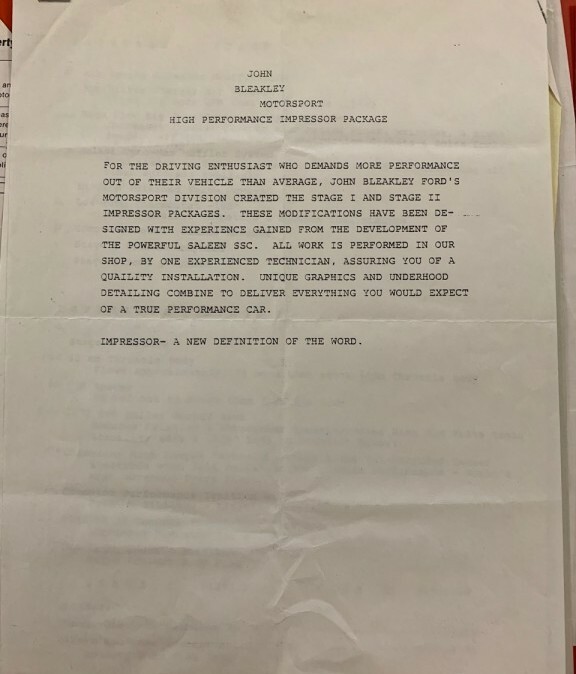 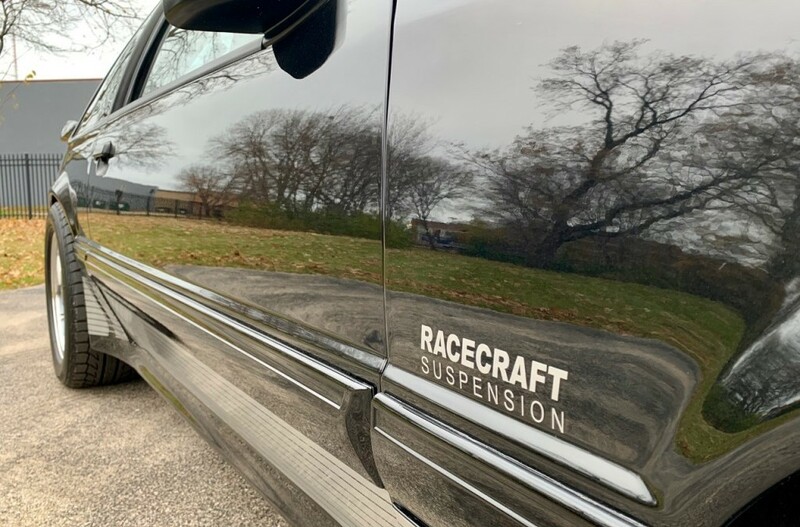 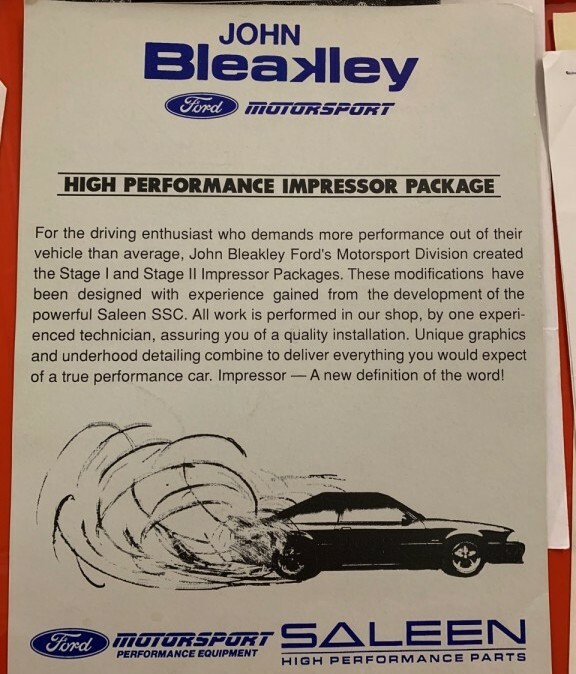 The following “Impressor Stage 1″ and “Impressor Stage 2″ packages incorporated much of the SSC upgrades but also gave the ability for owners to go one (or more!) 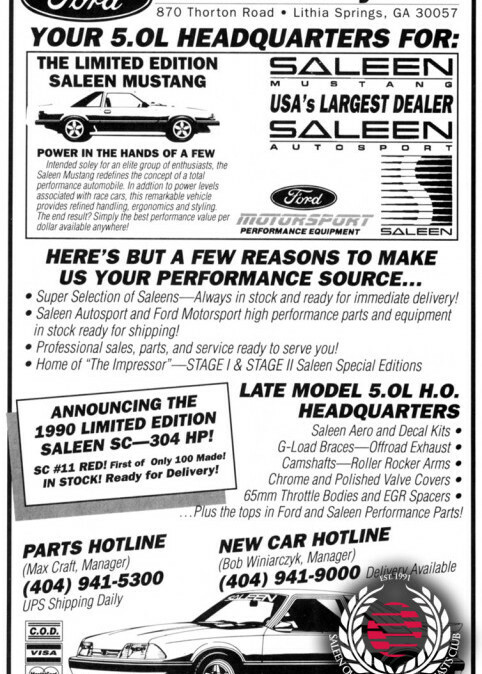 steps beyond SSC spec with “off-road use only” equipment from the JBA and Ford Motorsport catalogs. 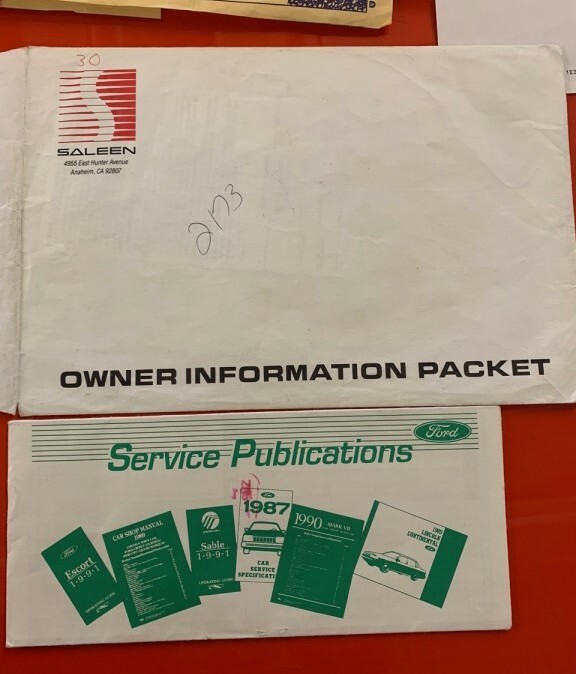 This package cost $2,595 on top of the base price of $25,440 of the car from Saleen. 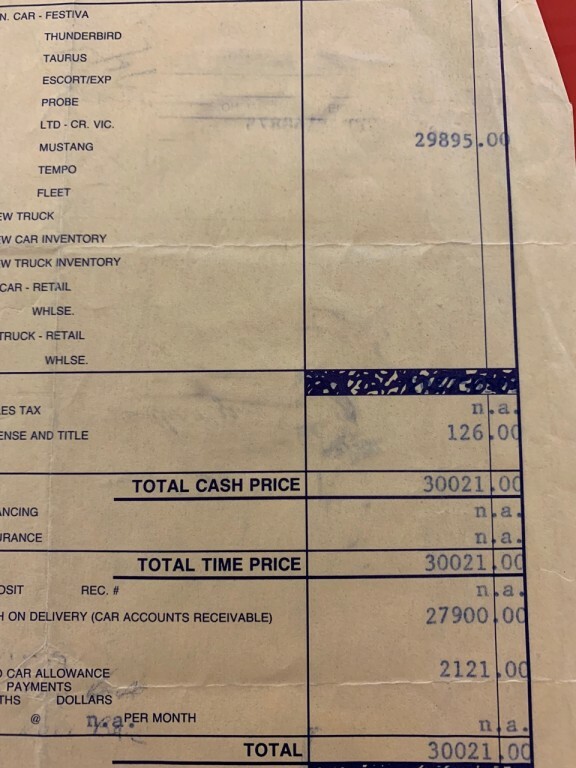 Out the door, after negotiating, #30 cost a staggering $30,021, or roughly twice the cost of a new 1990 5.0L LX Hatchback. 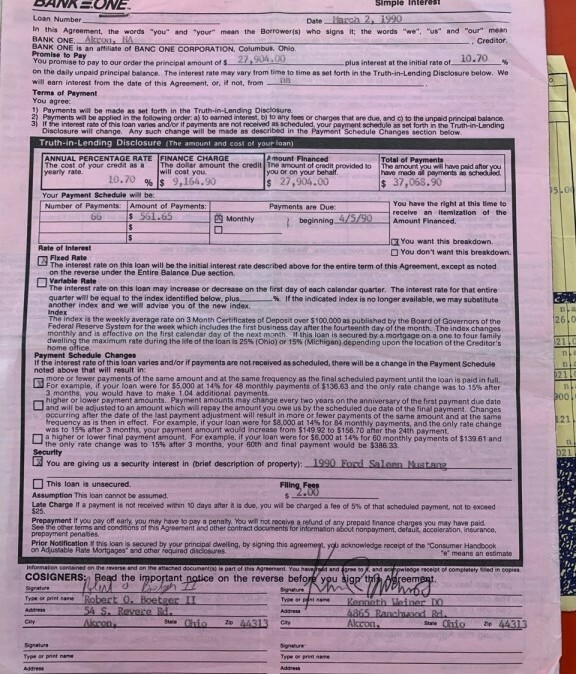 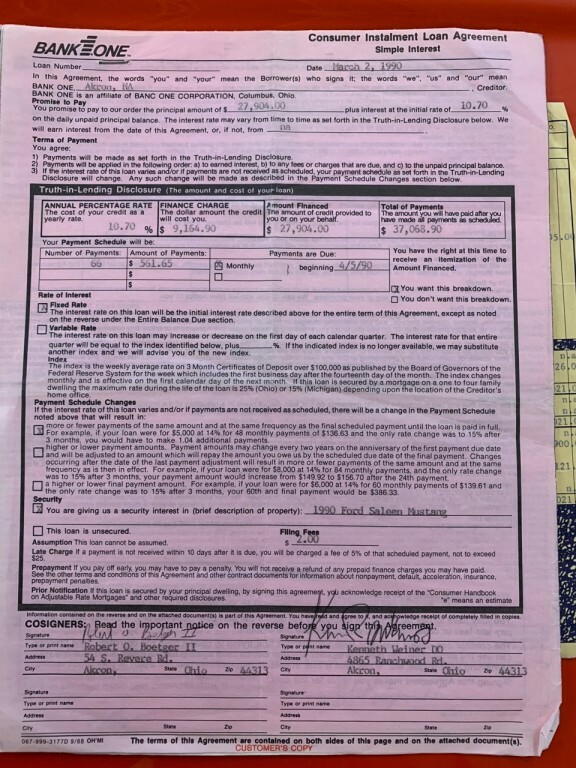 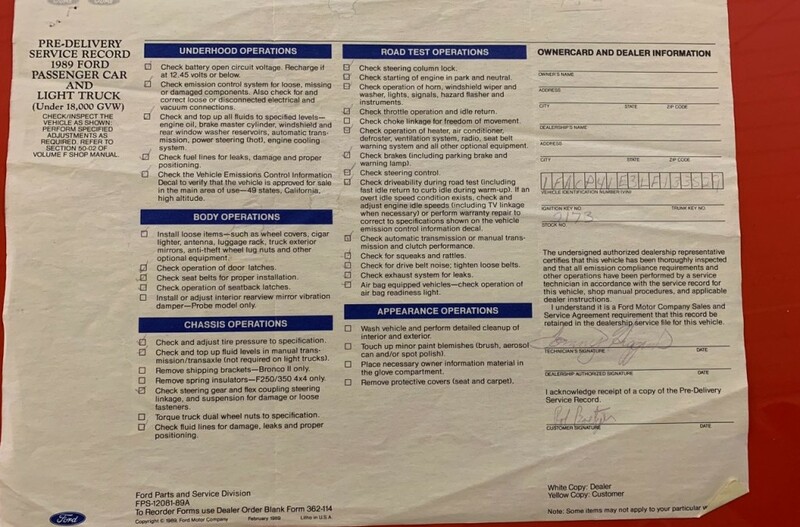 The original paperwork, much of it pictured here, documents all of this and is quite extensive. 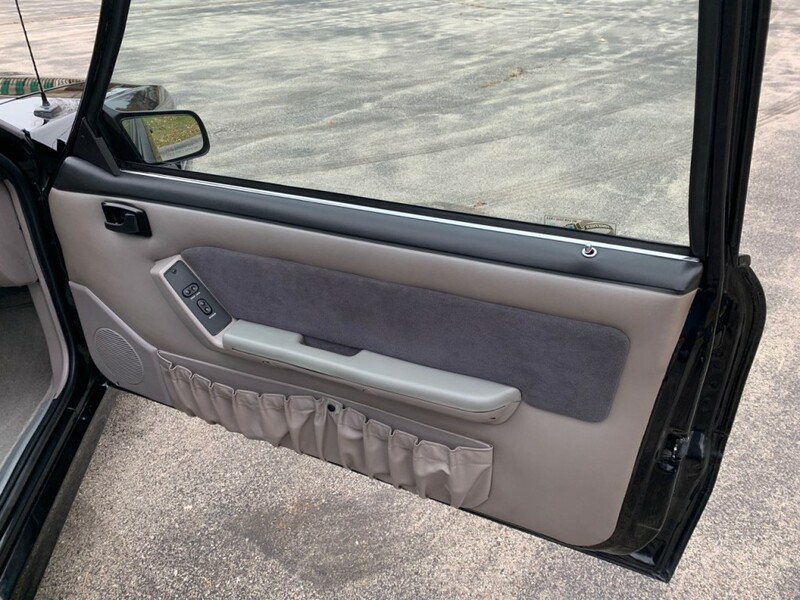 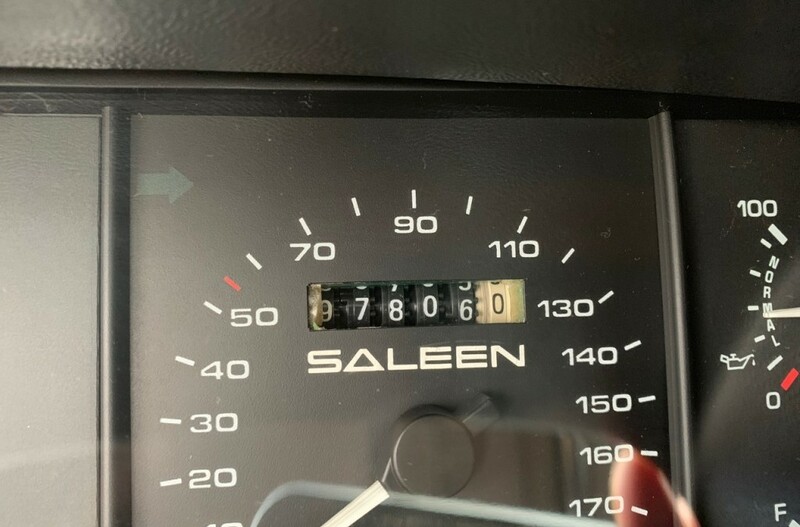 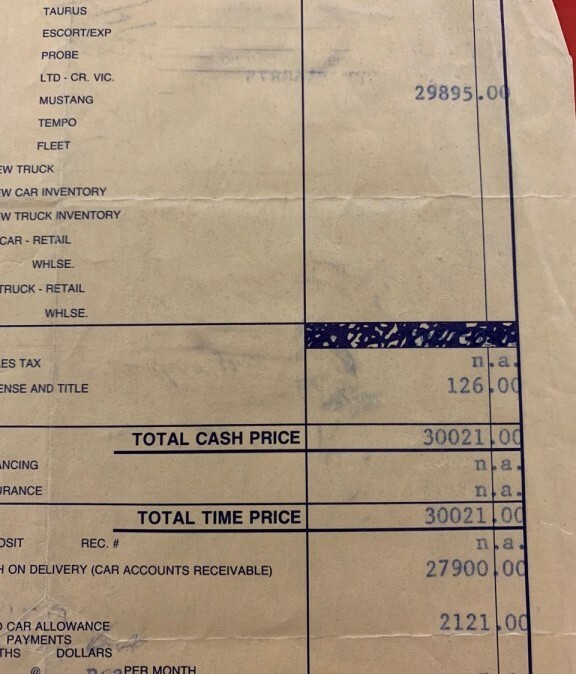 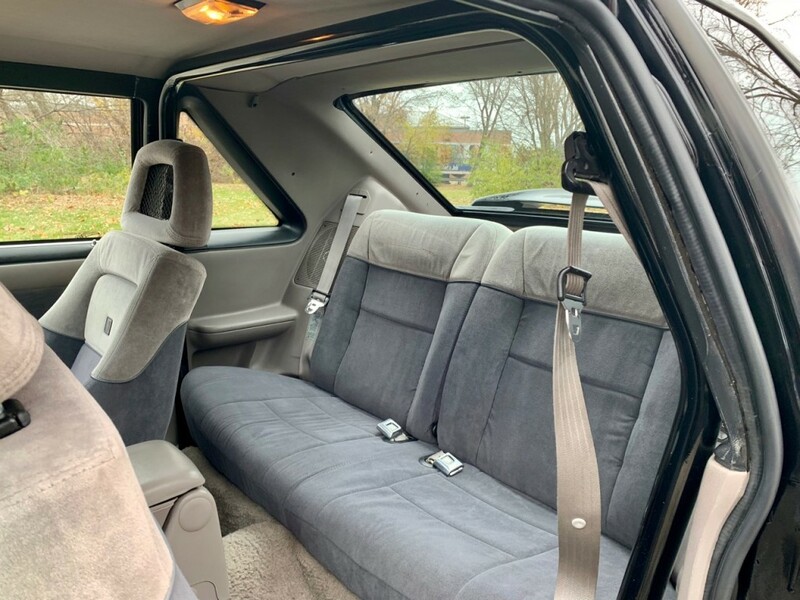 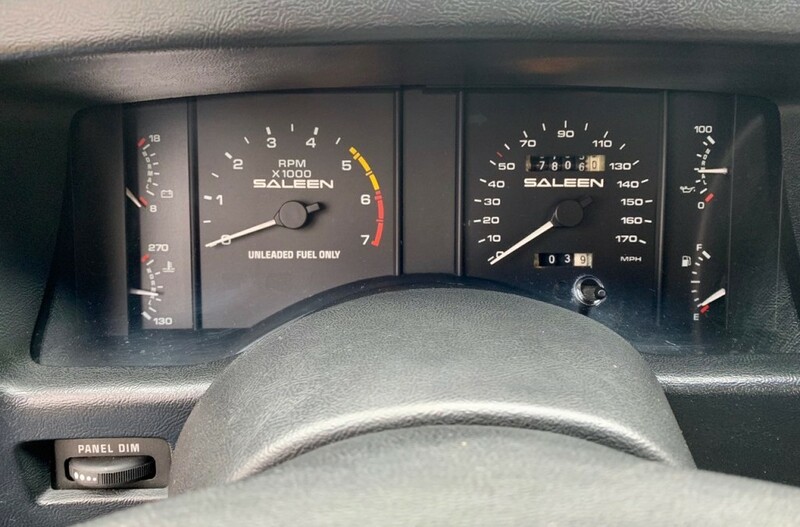 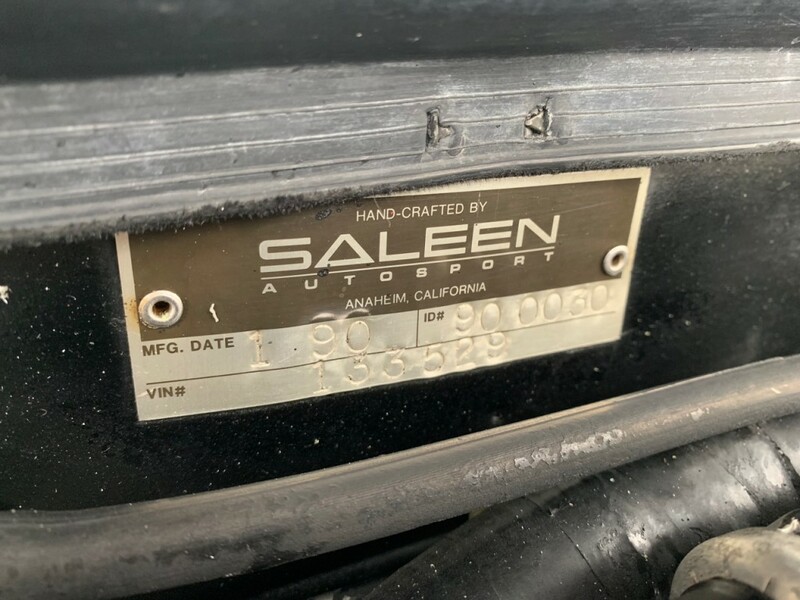 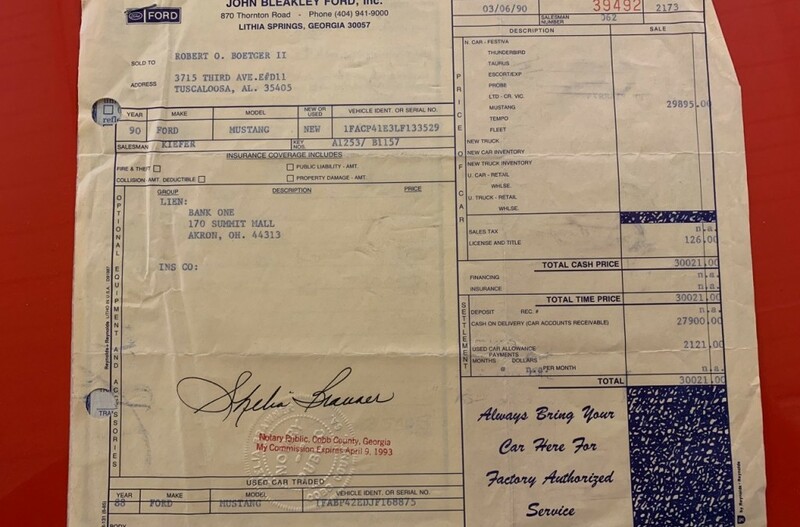 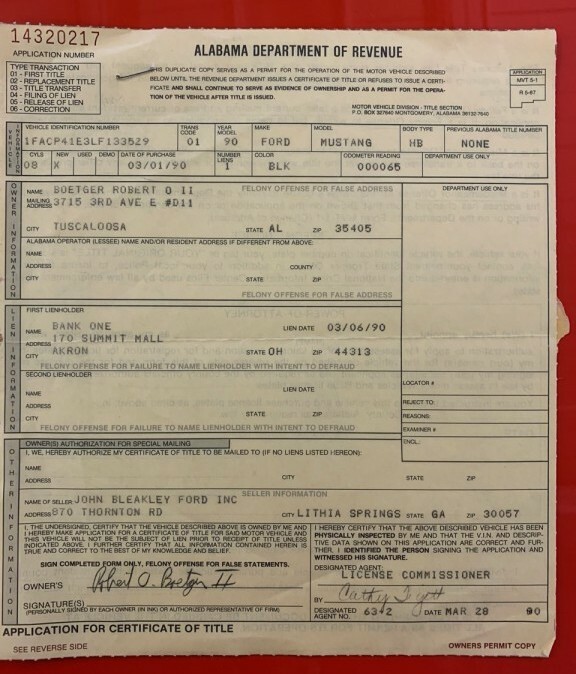 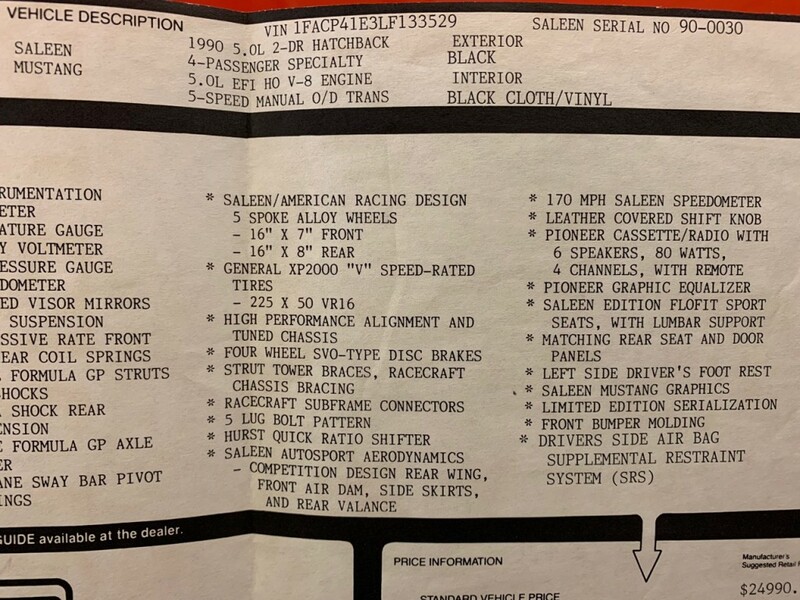 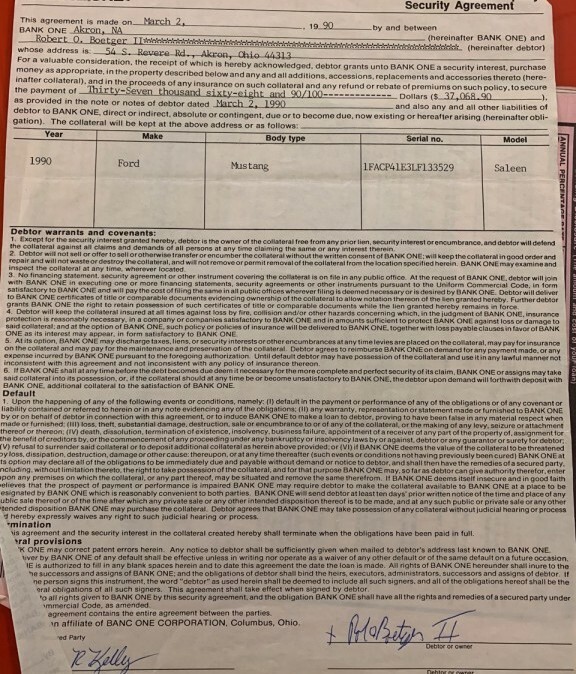 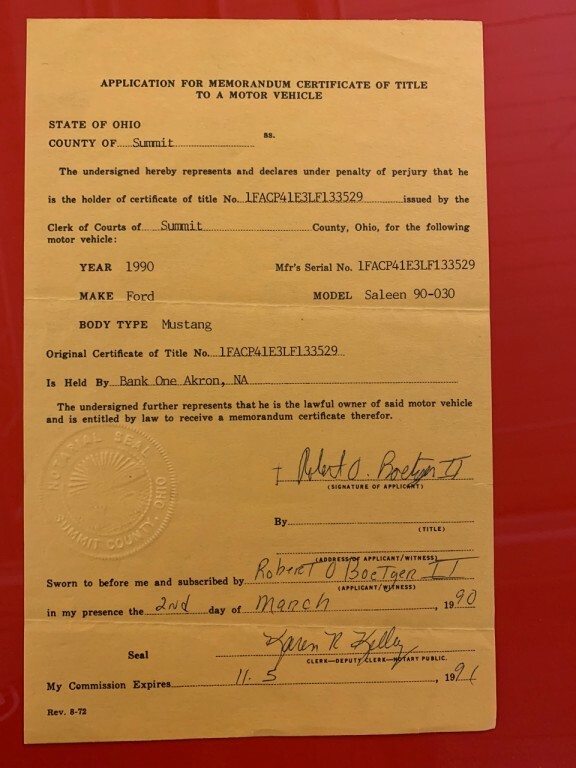 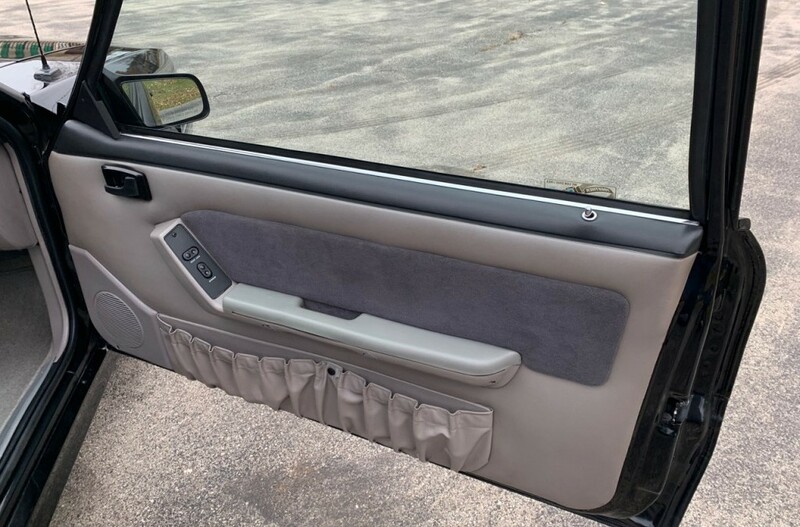 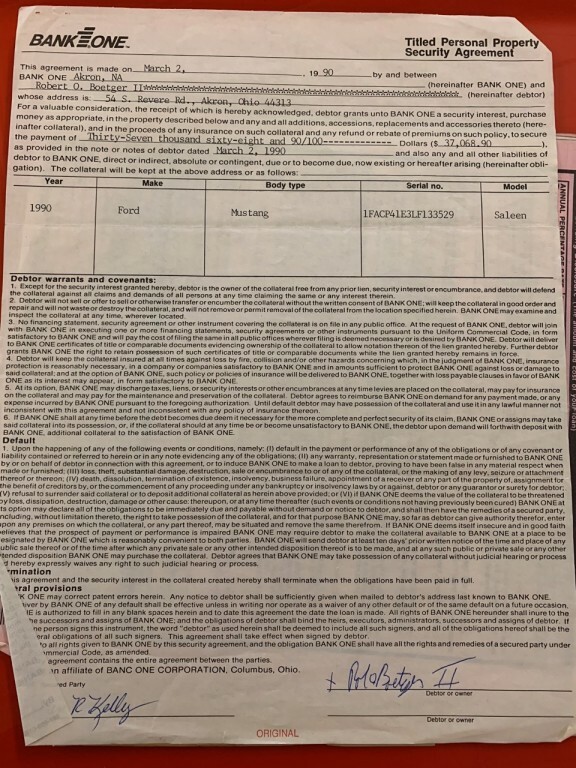 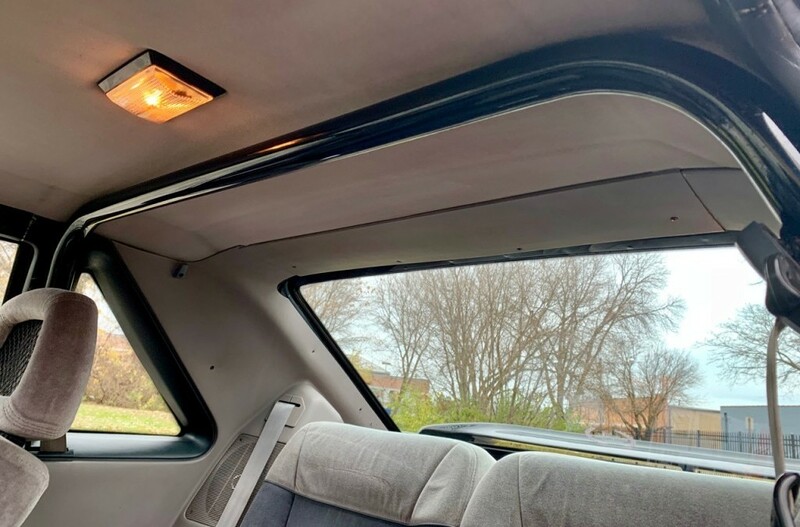 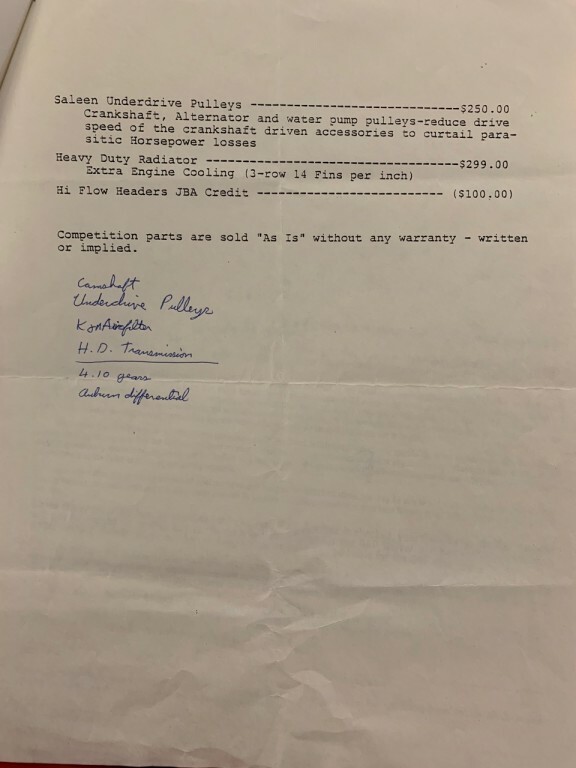 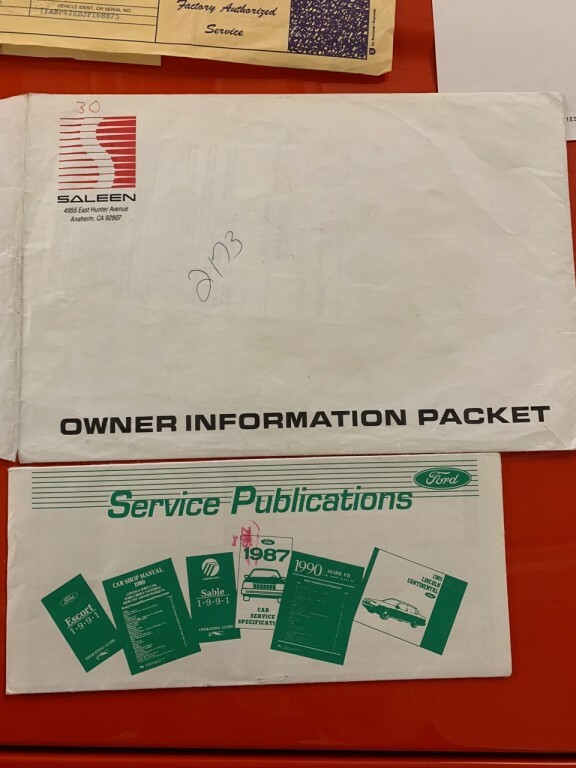 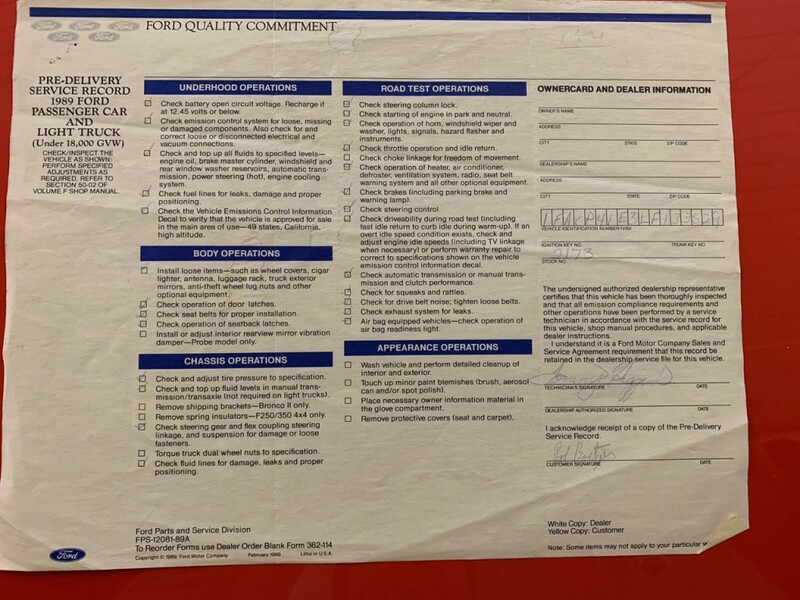 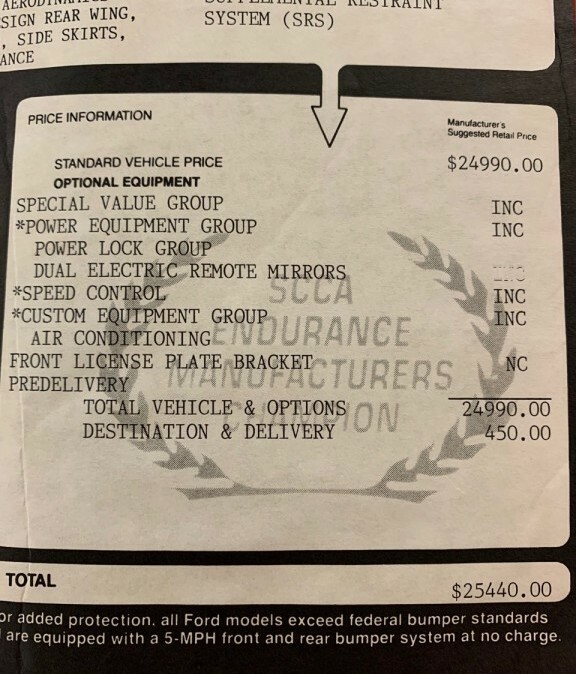 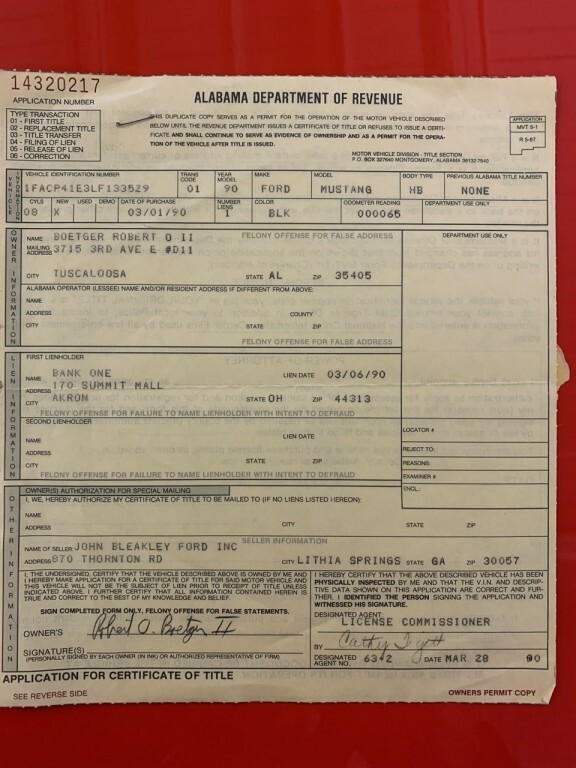 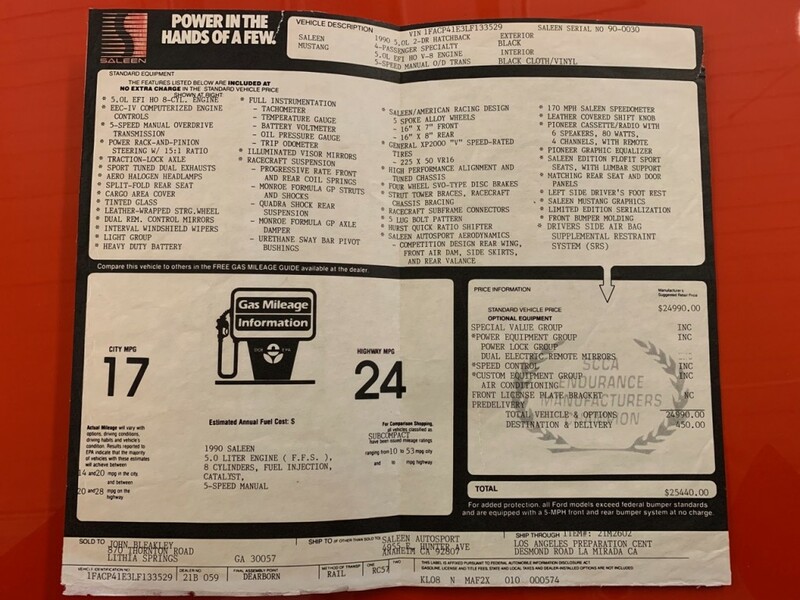 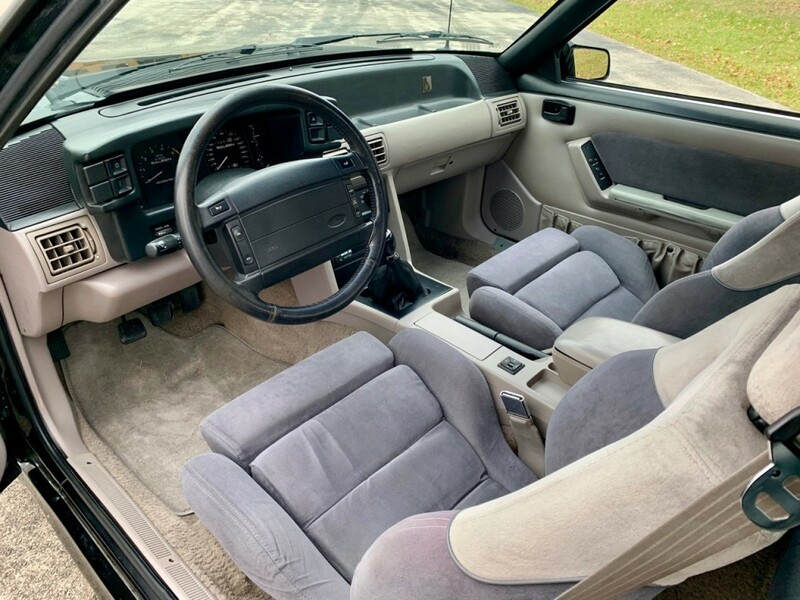 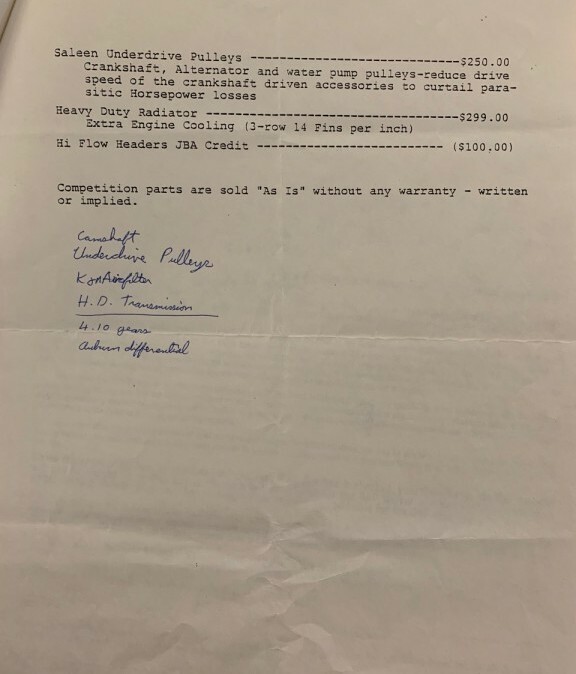 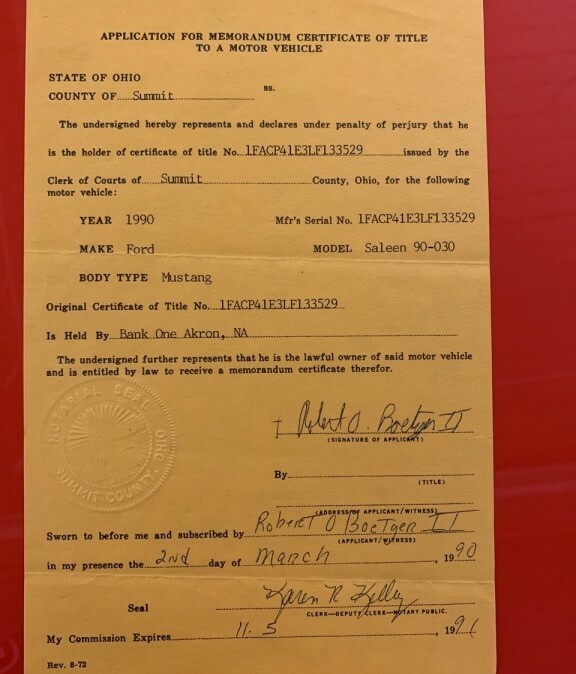 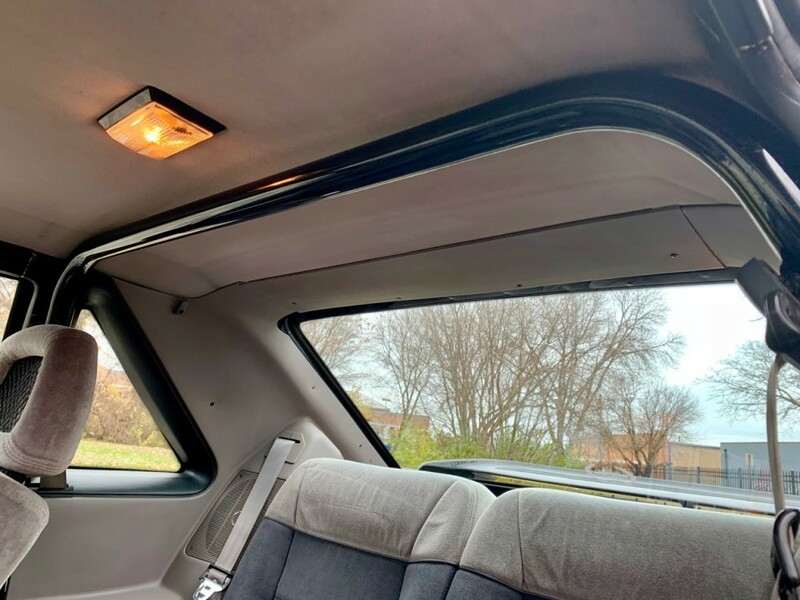 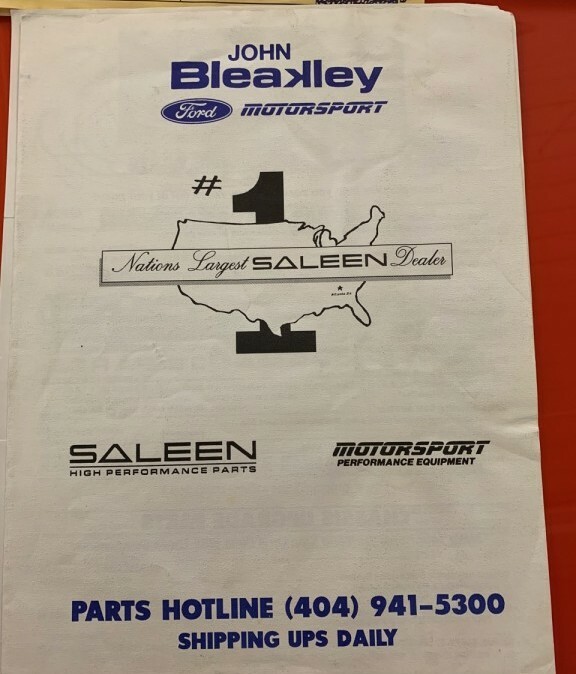 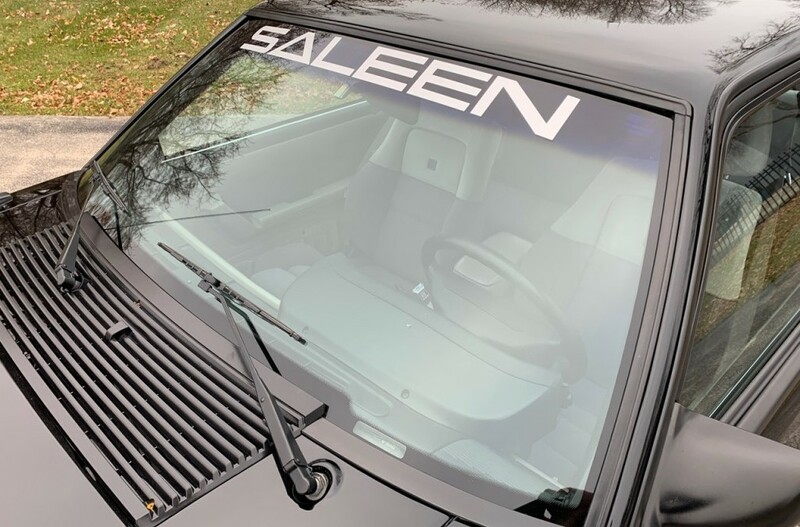 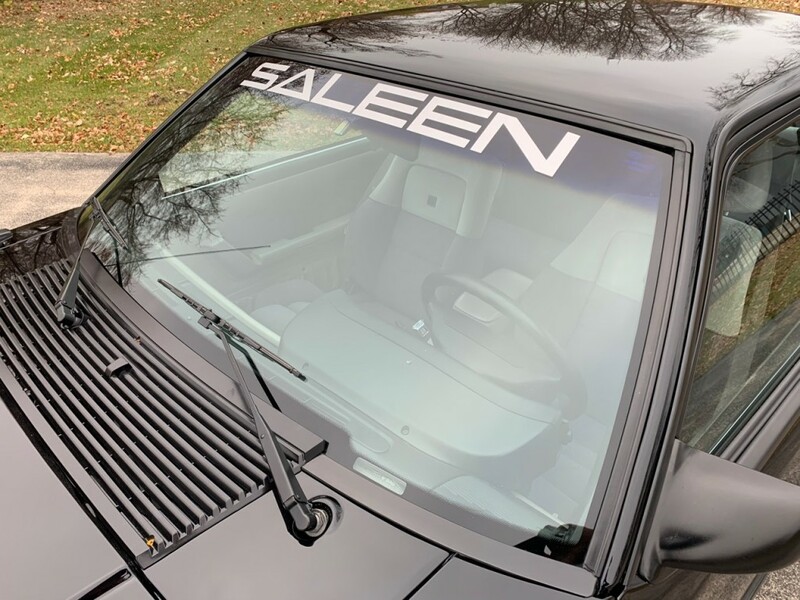 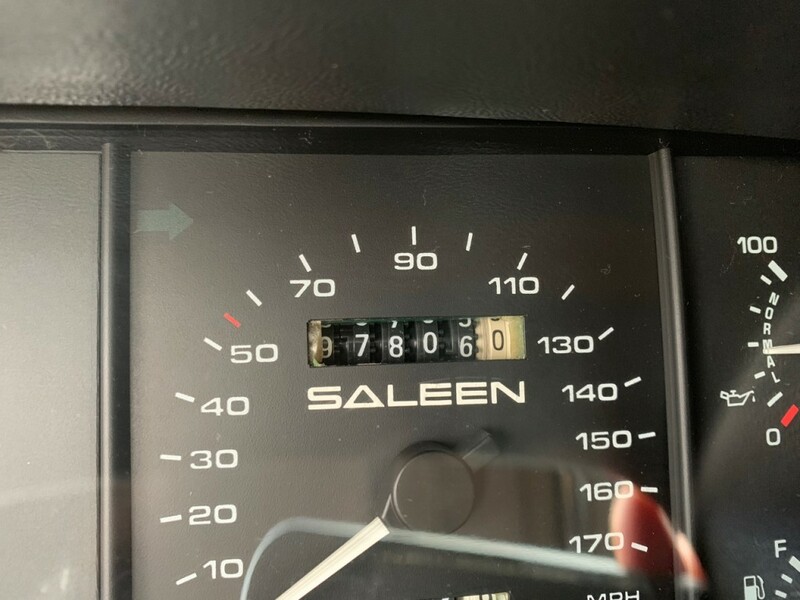 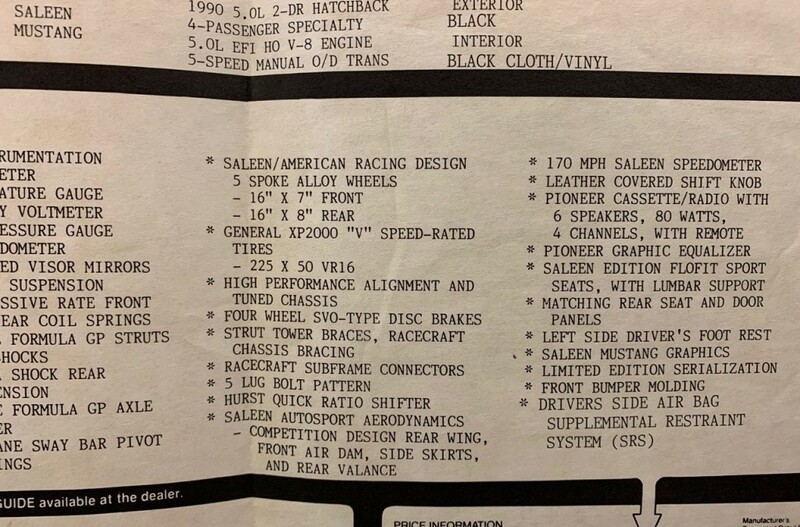 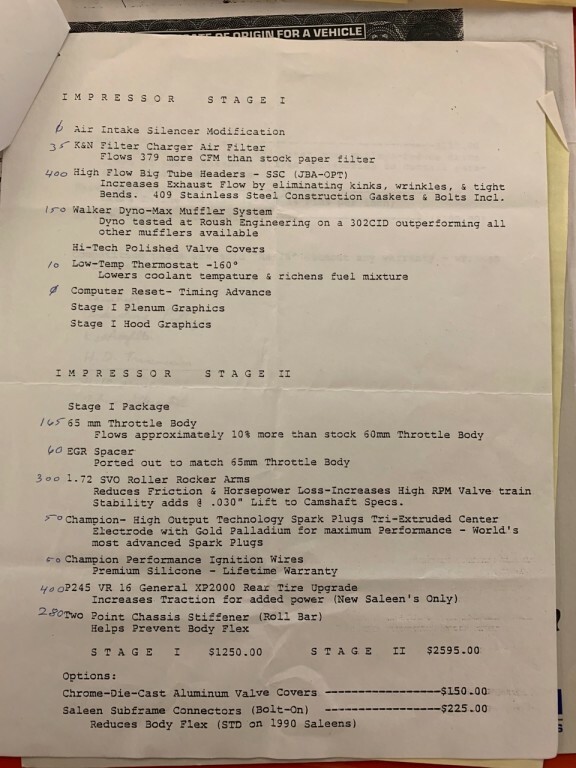 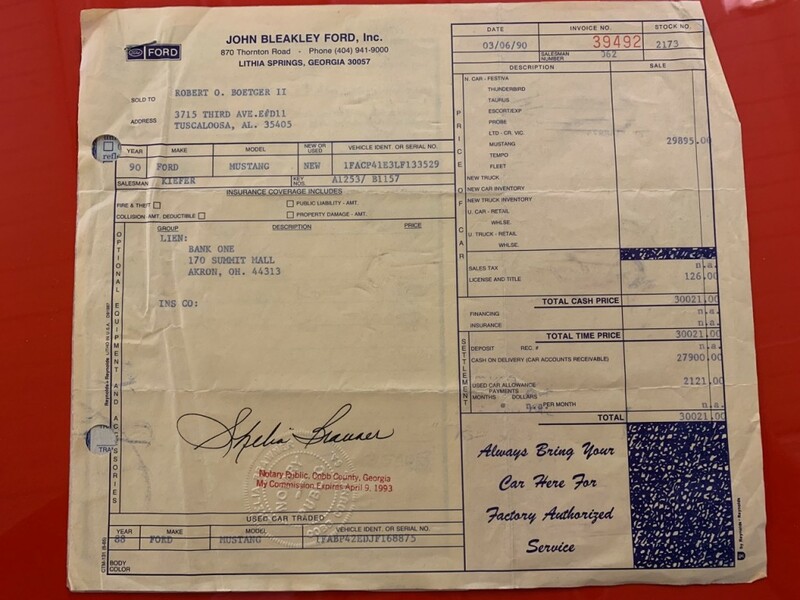 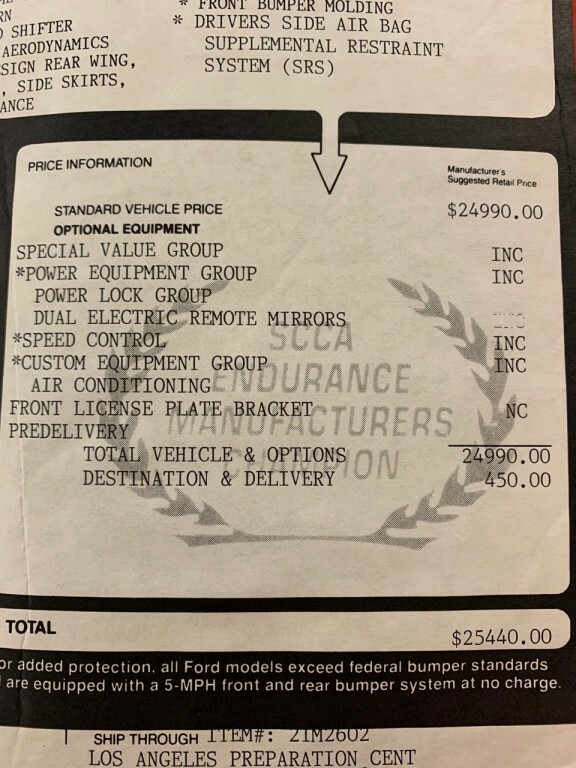 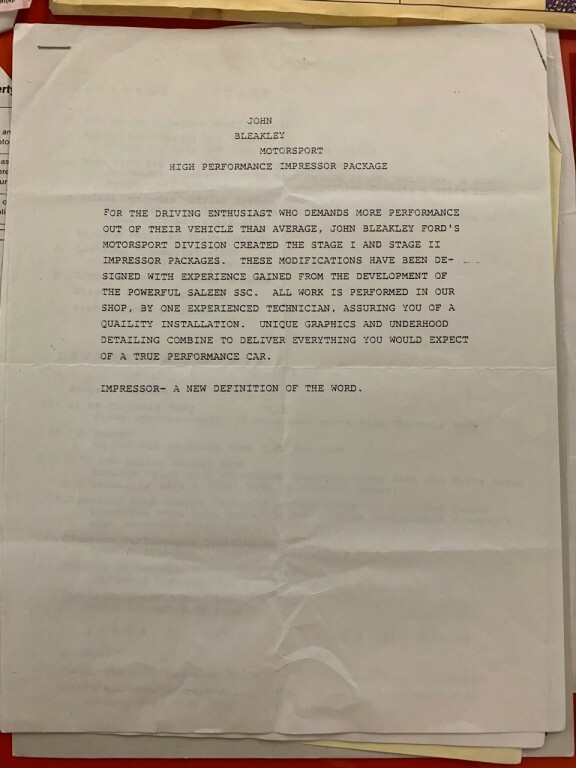 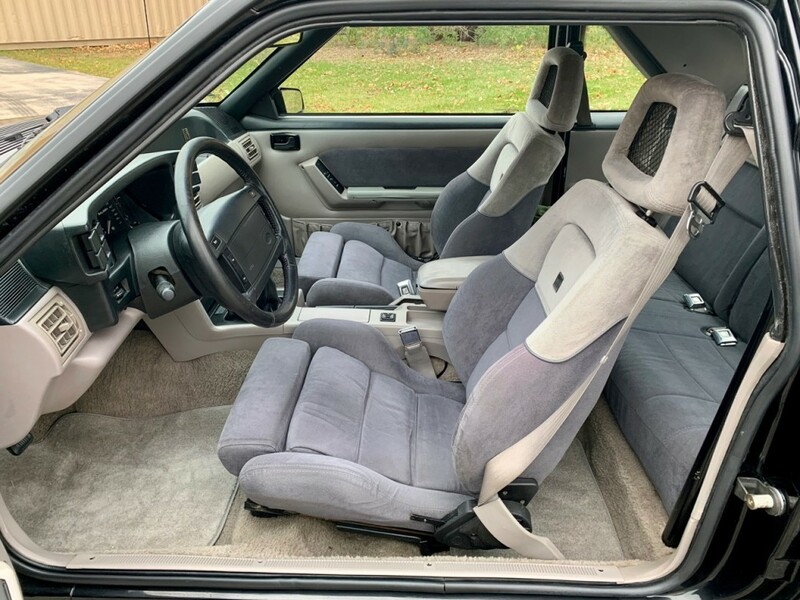 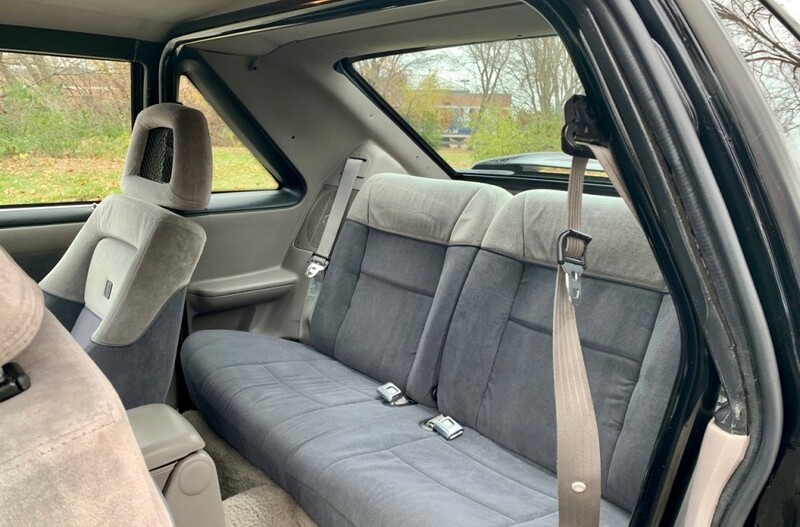 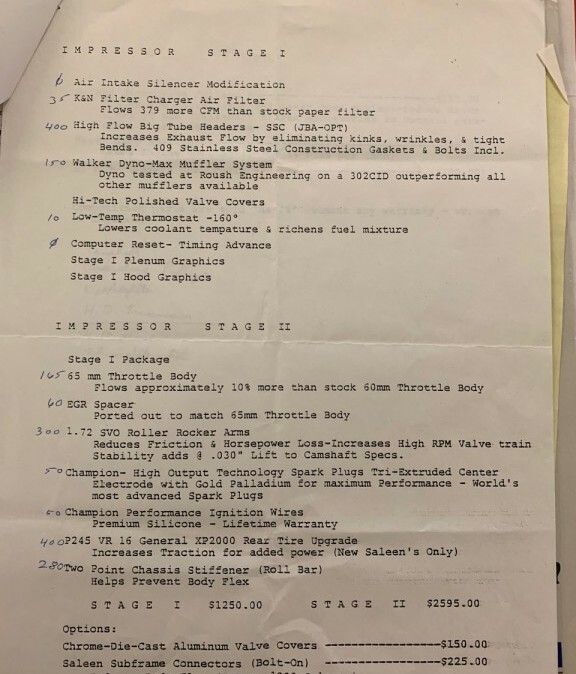 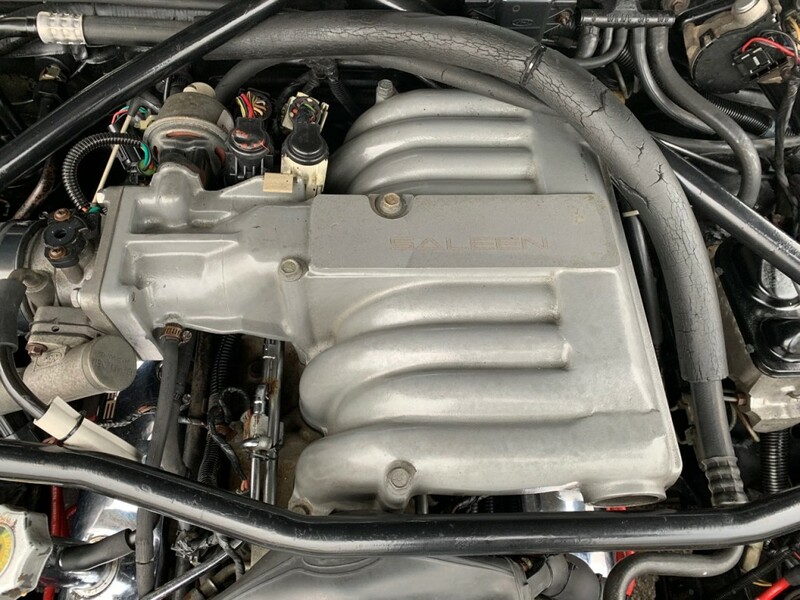 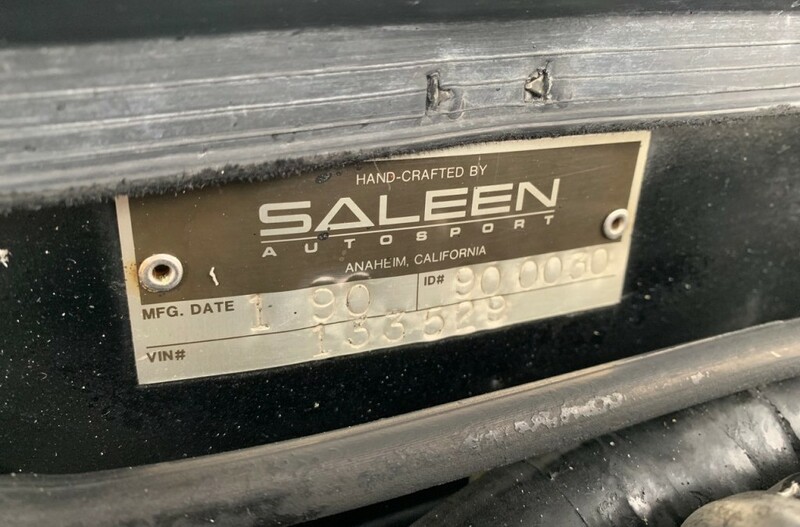 It includes the original Saleen window sticker, a copy of the original Ford MSO, an original Impressor brochure and price sheet, Saleen owner’s kit, warranty card, purchase contracts, application for title, letters from Bleakley Ford and more. 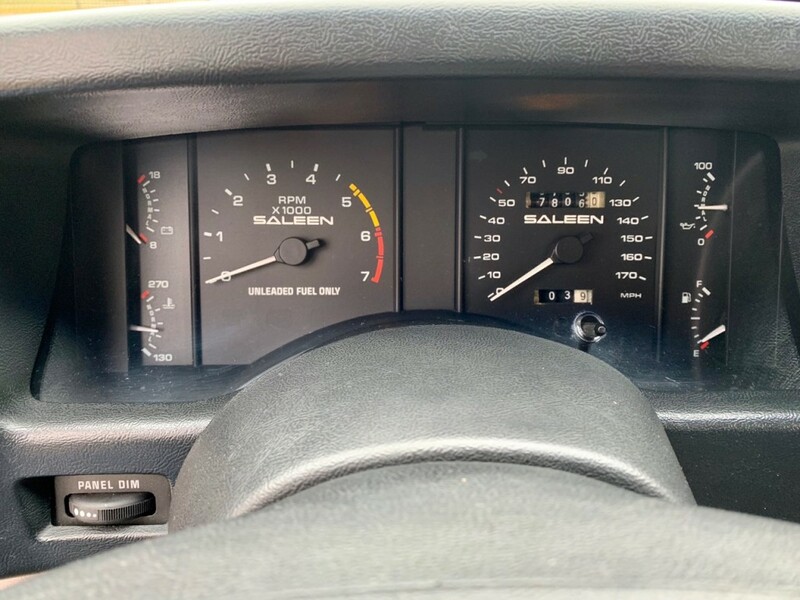 Today #30 is in excellent condition with 97,000 miles. 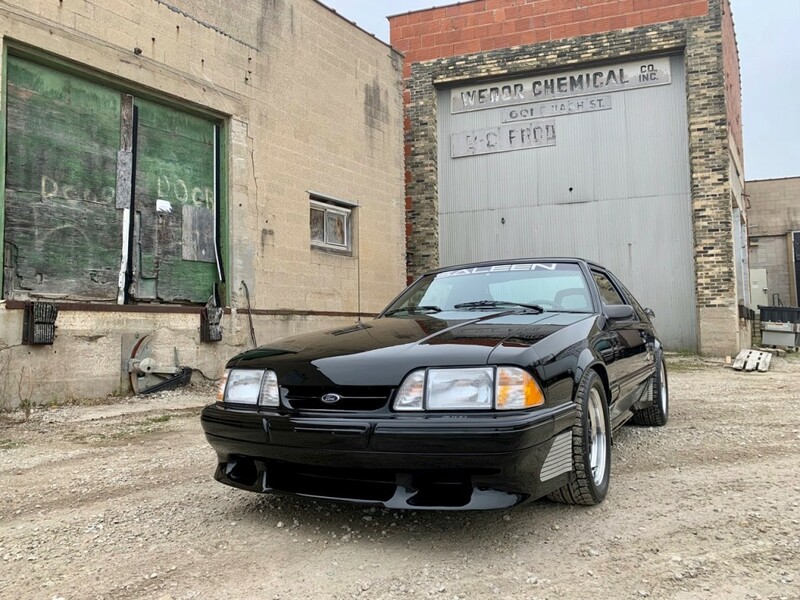 During my ownership #30 has been thoroughly serviced including all new fluids, a full tune, new BF Goodrich G-Force tires in the correct staggered 225/245 sizes, restoration of the original Saleen wheels, a full wheel alignment, new brake rotors and pads front and rear, a new Ford Racing aluminum drive shaft, new Eibach progressive rate front coil springs to improve ride quality (the original Racecraft springs are included), and more. 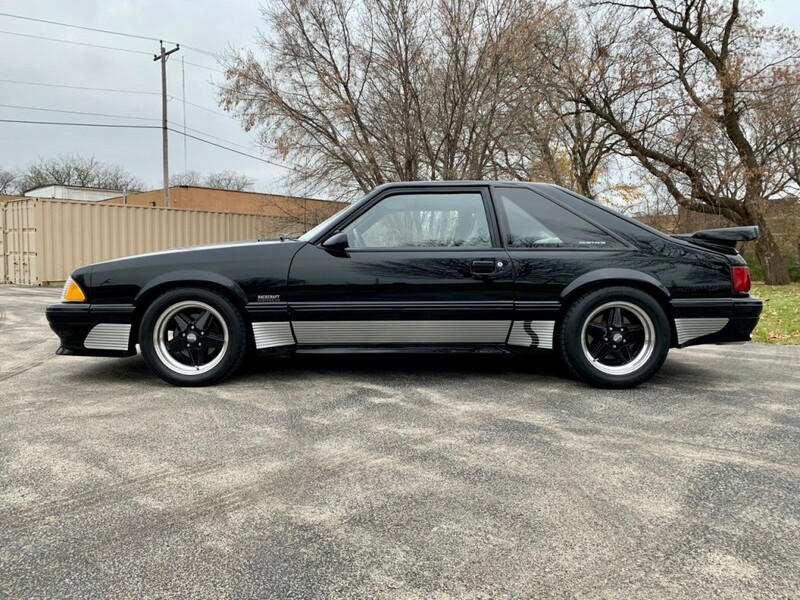 Cosmetically the car has been repainted at some point in the past and the paint is exceptionally nice. 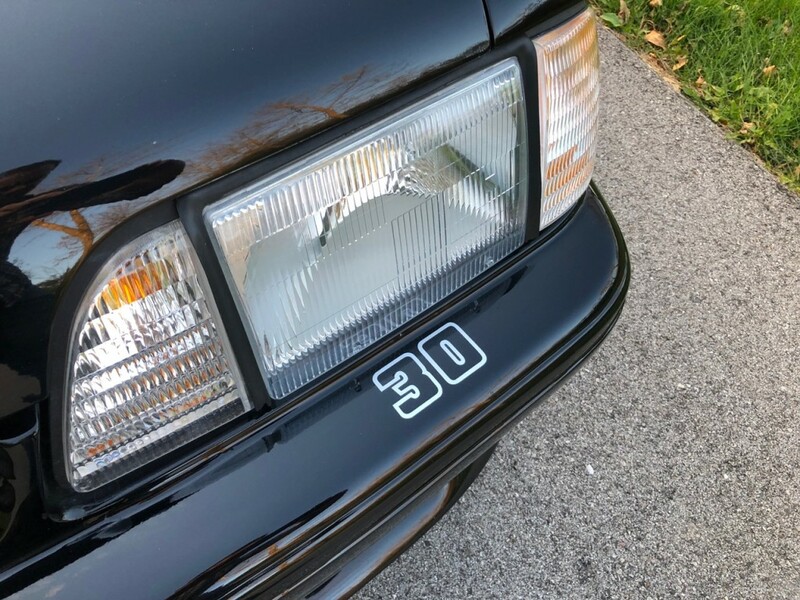 There is one piece of the plastic body side molding on the left quarter panel where the black paint has flaked off of an edge. 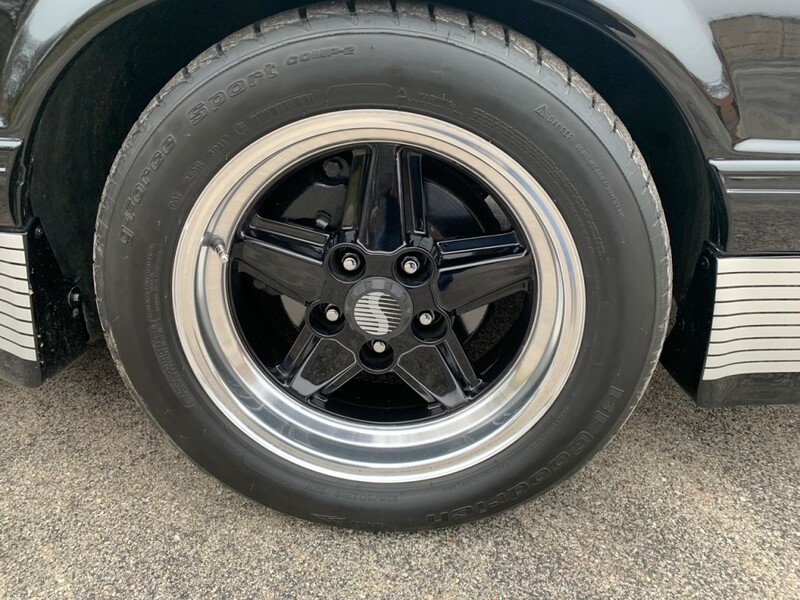 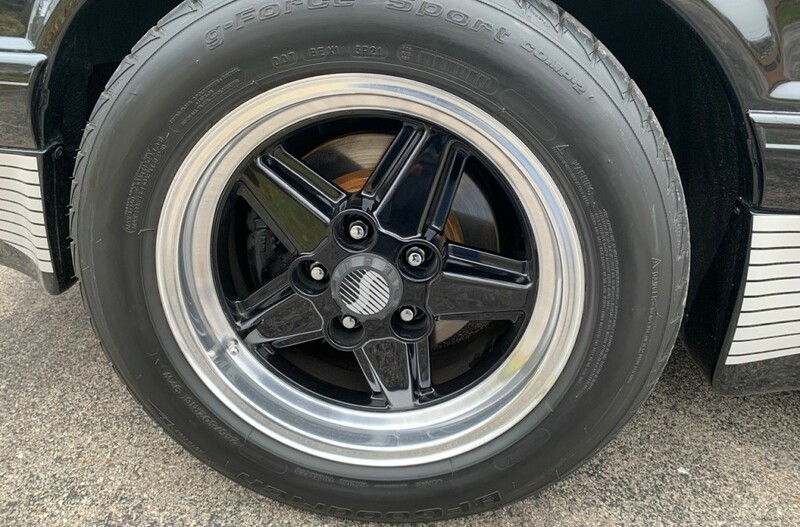 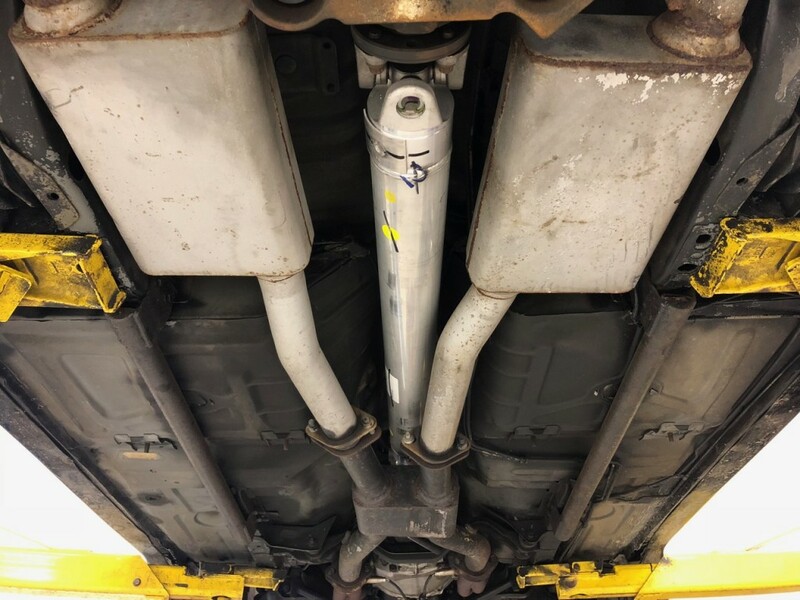 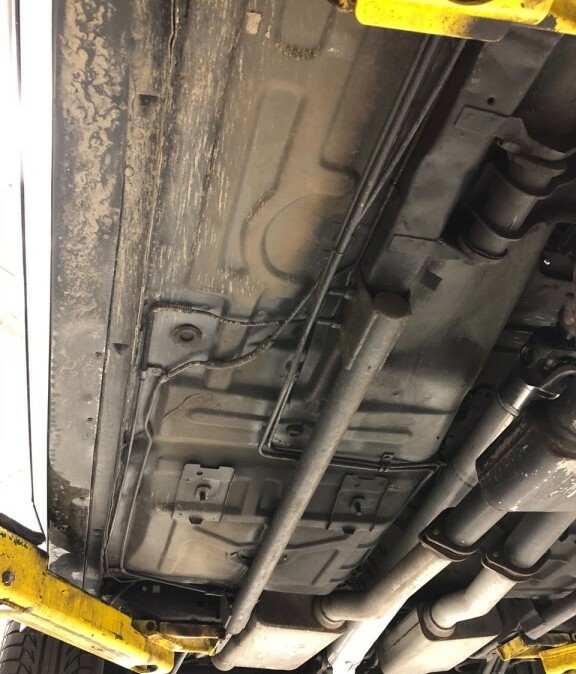 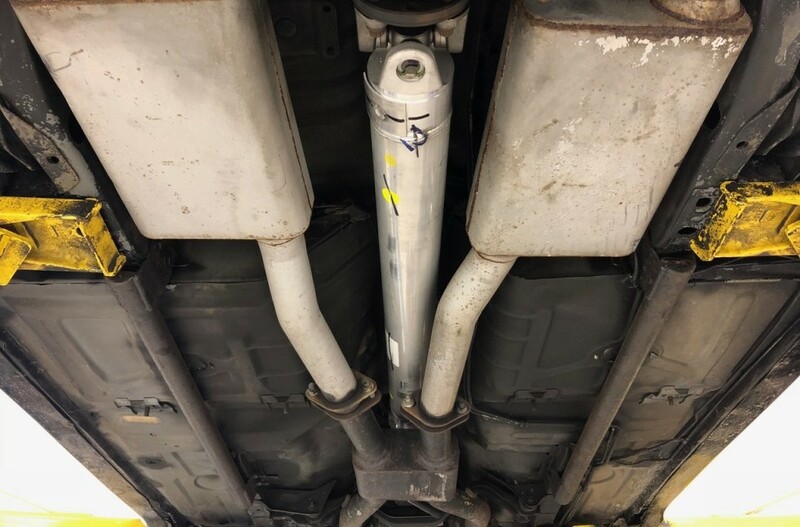 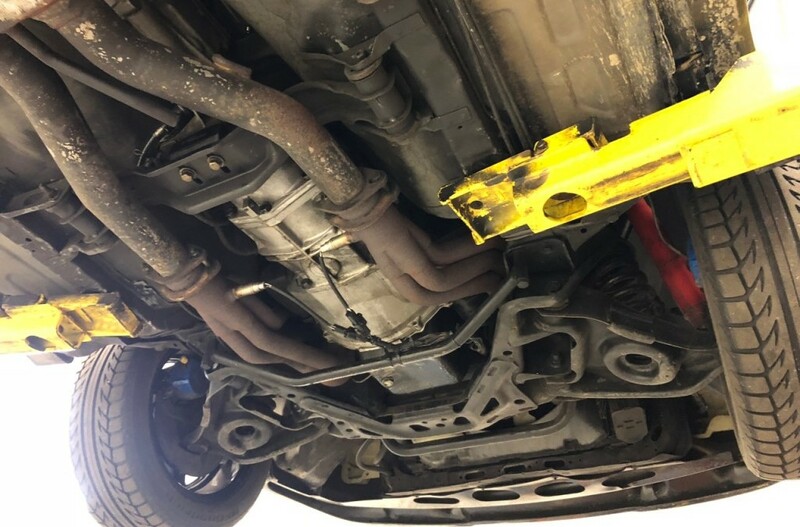 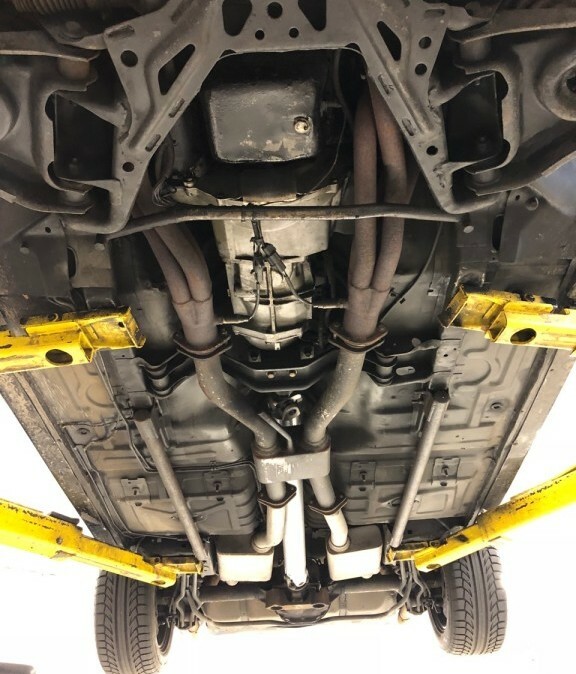 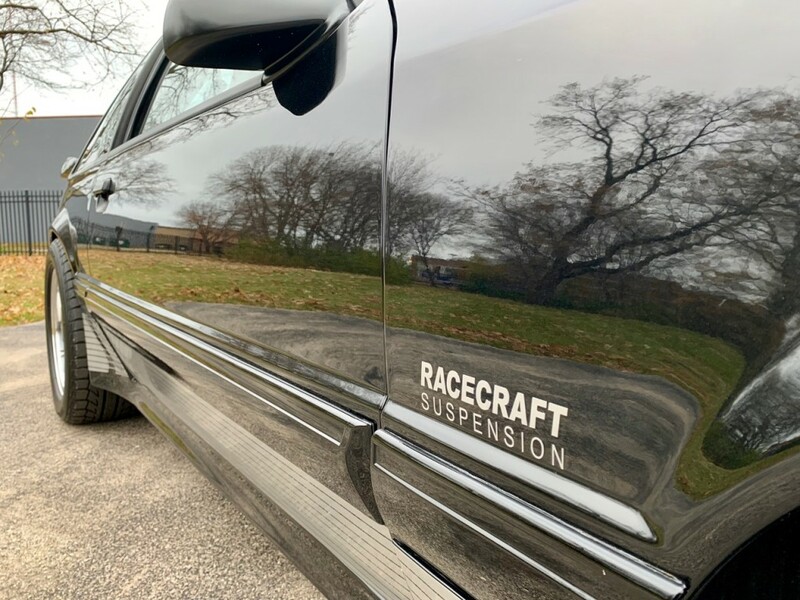 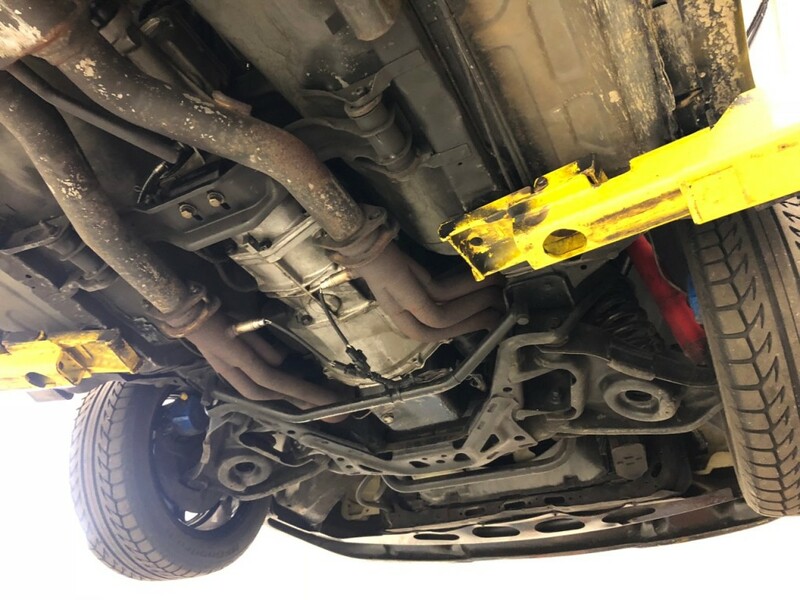 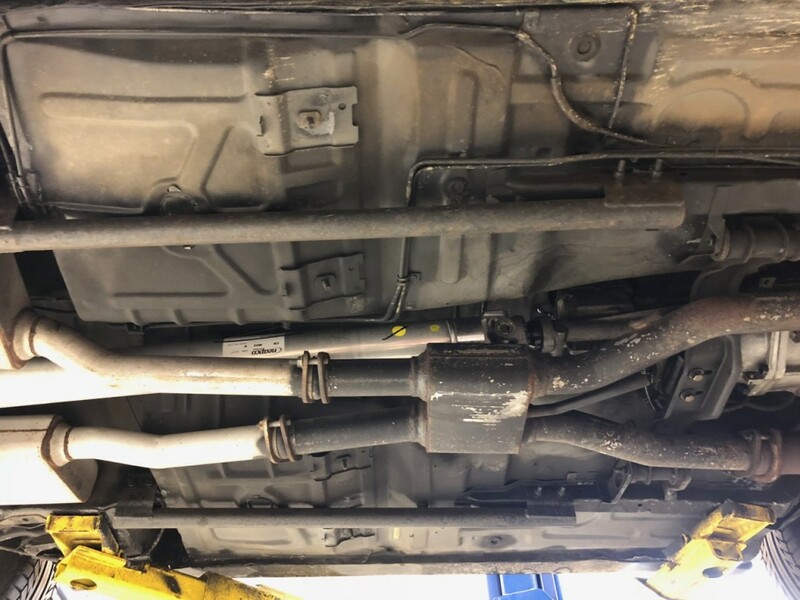 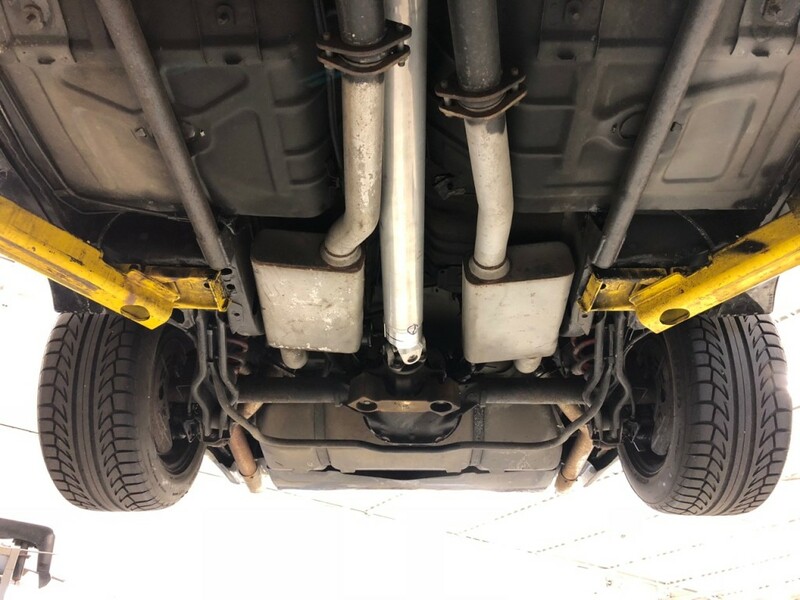 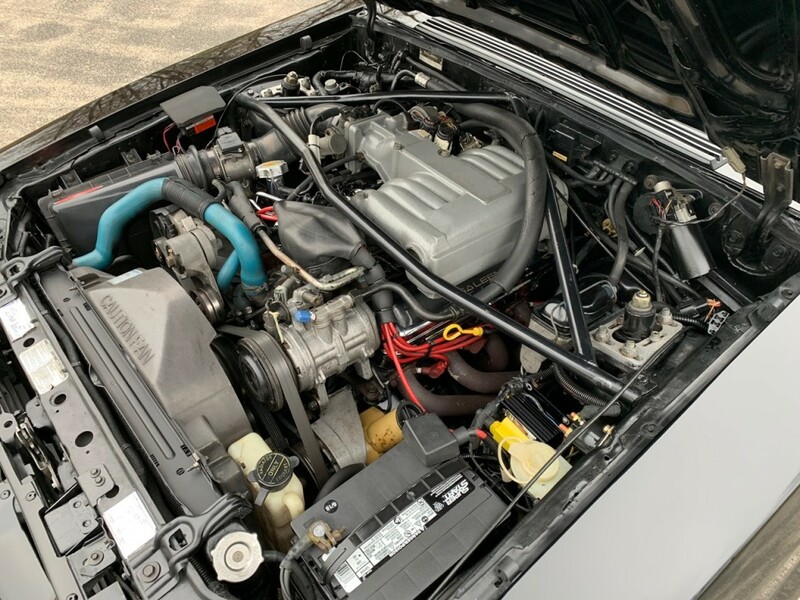 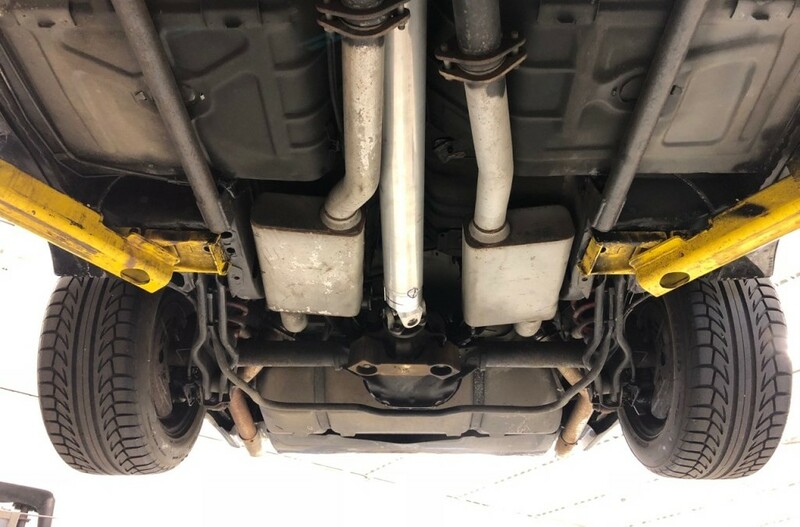 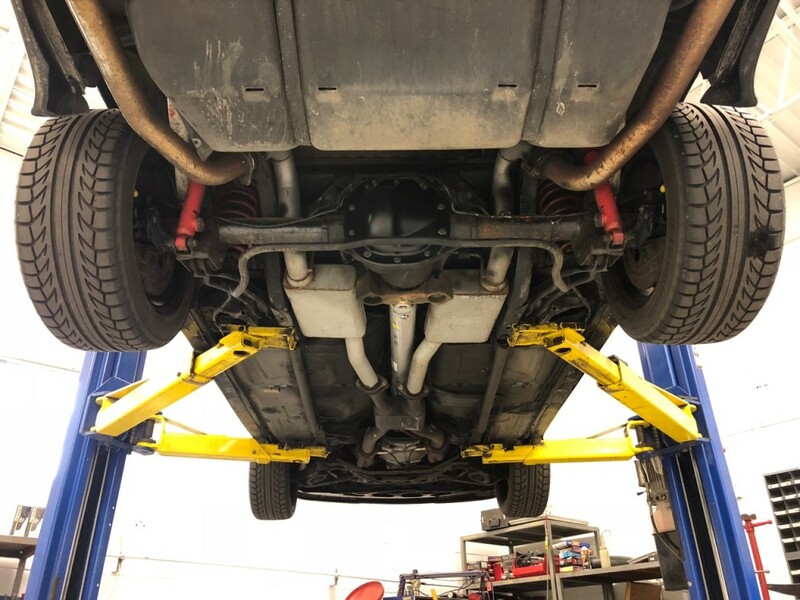 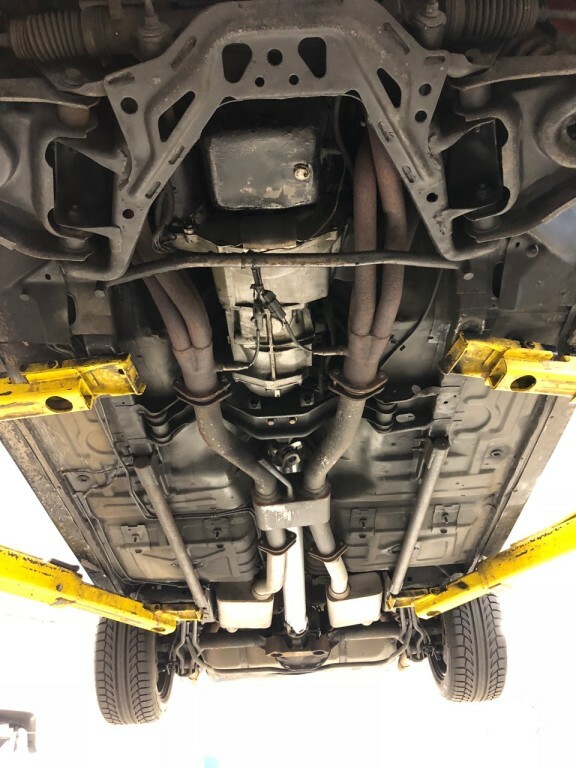 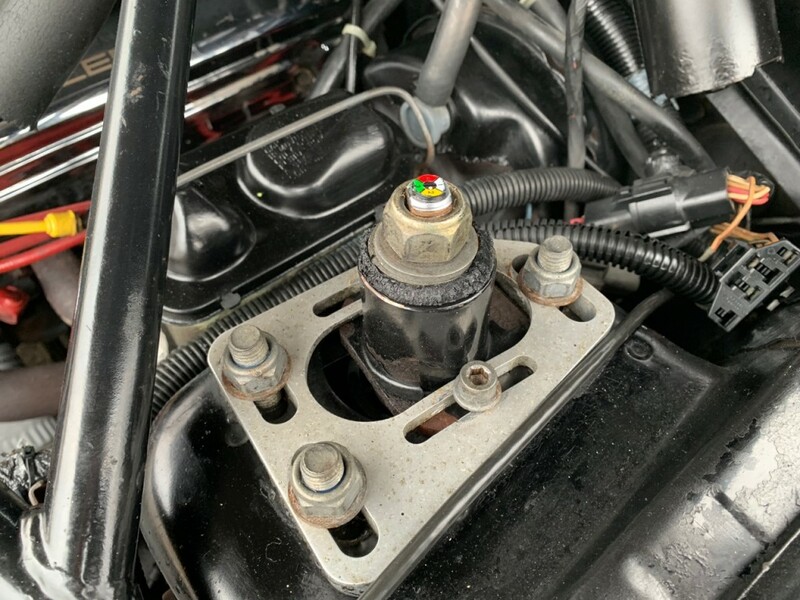 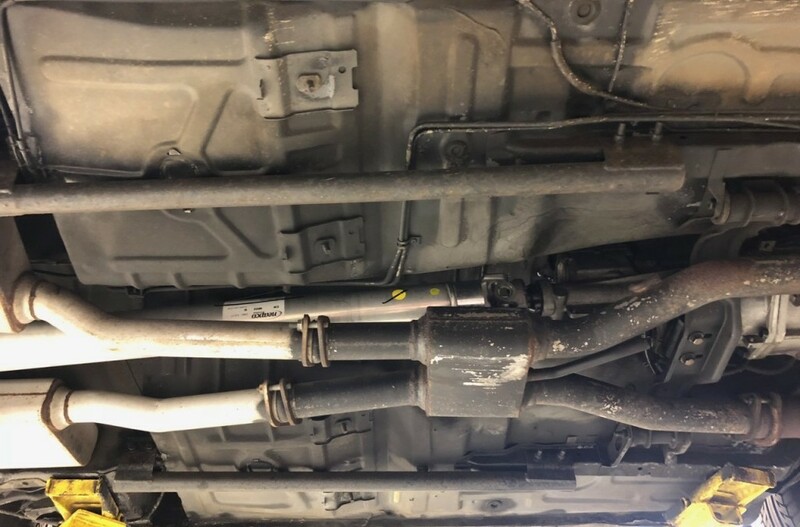 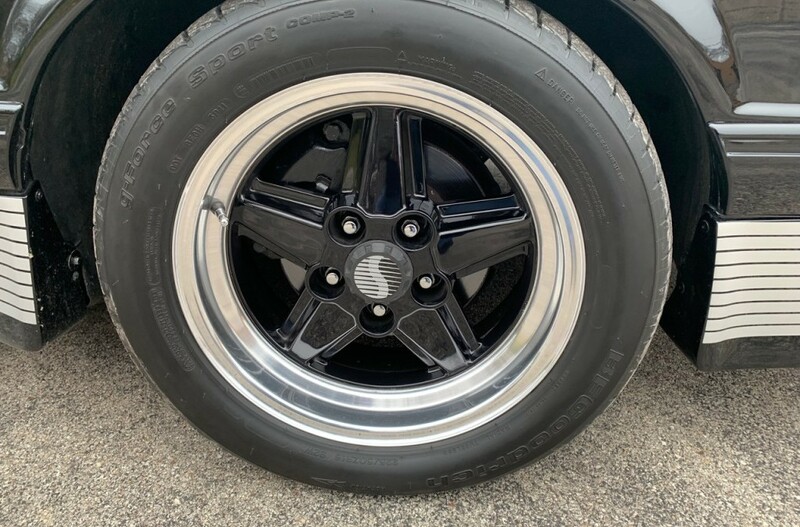 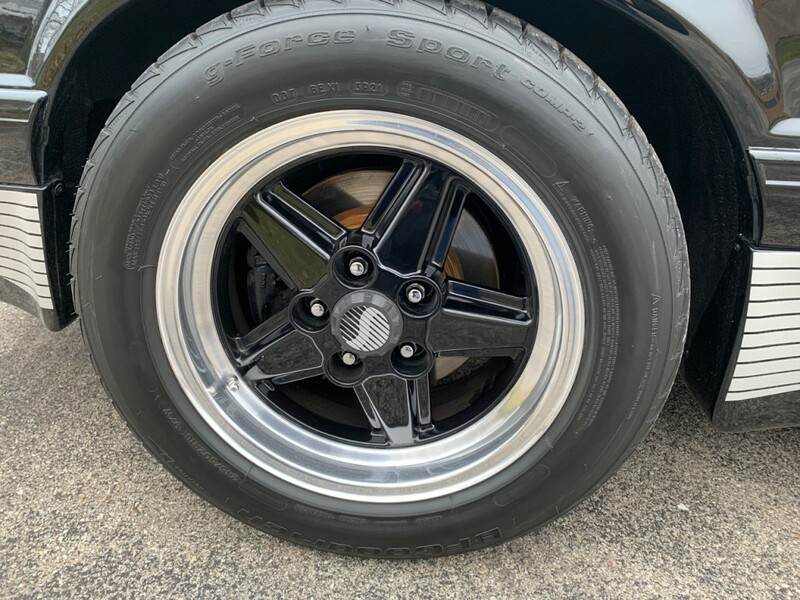 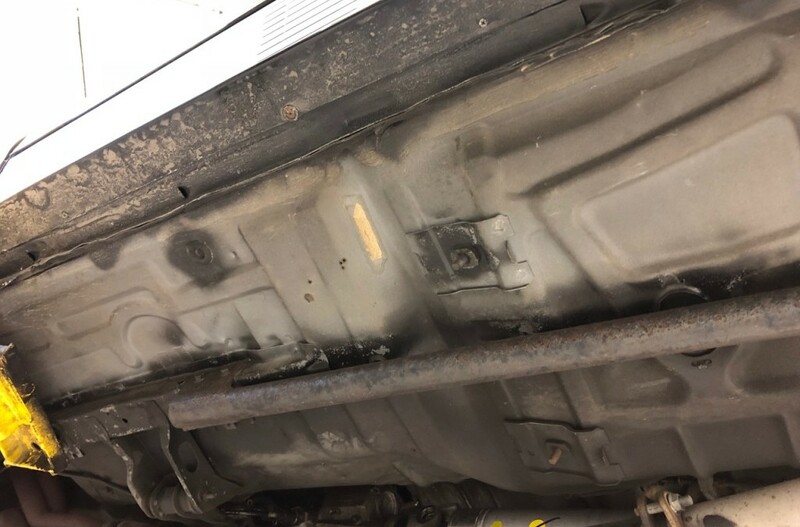 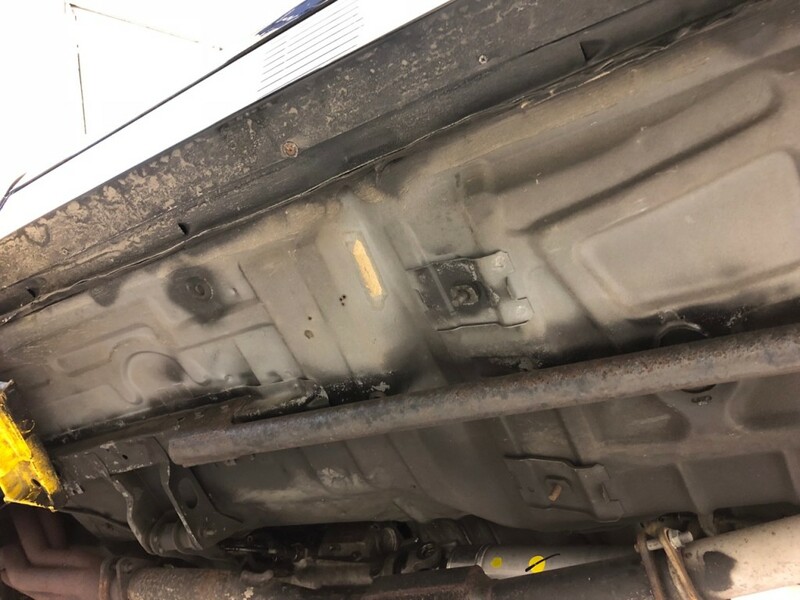 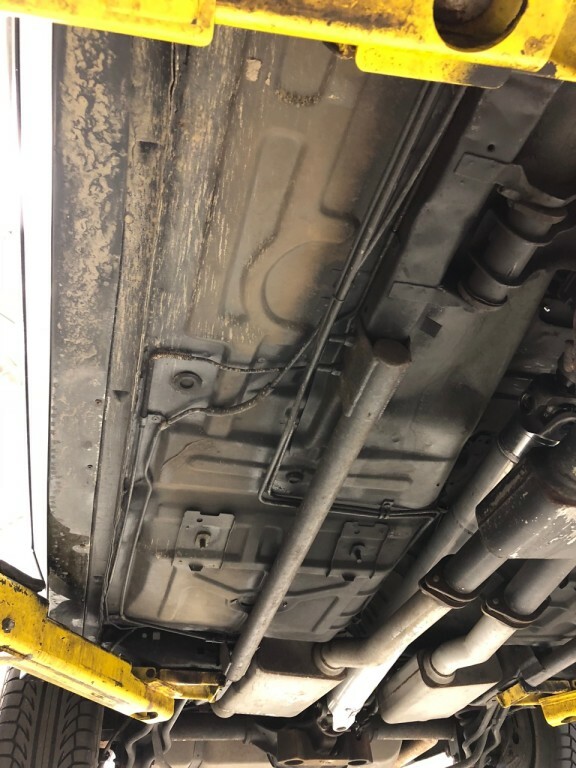 The body and chassis are clean with zero rust noted anywhere, however the JBA headers and exhaust have surface rust, as well as some of the suspension components that started life as bare metal from Ford. 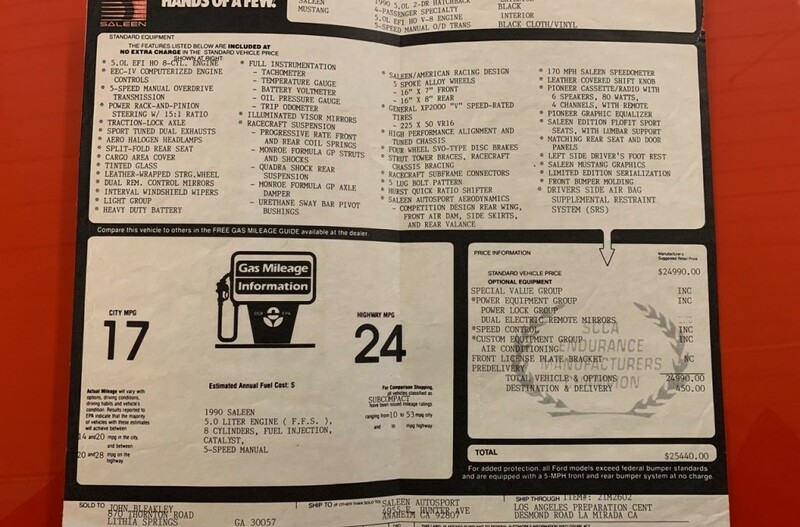 I have a clean CarFax in hand showing no damage history. 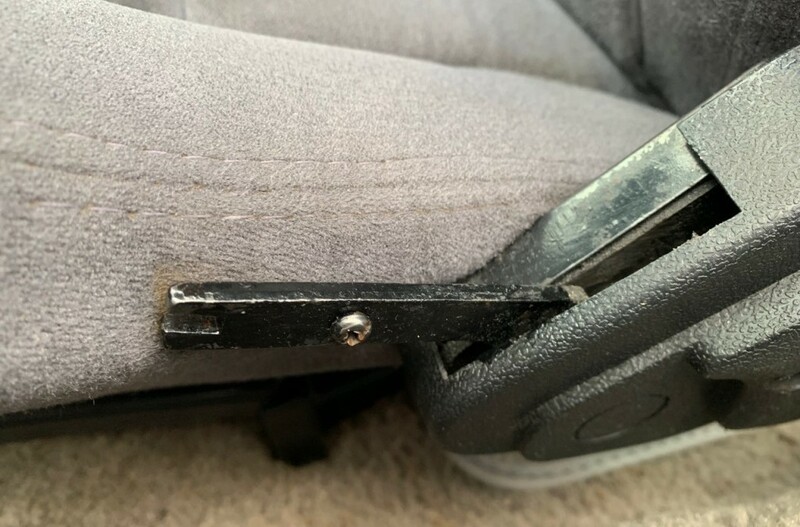 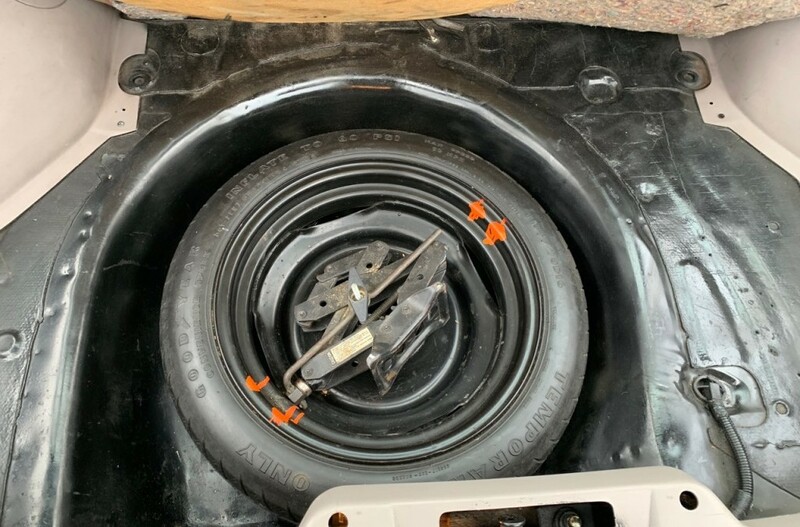 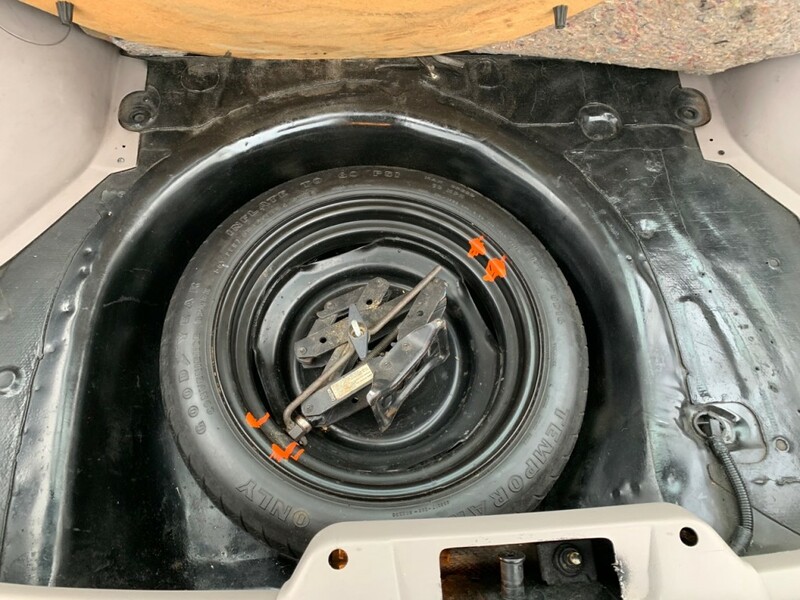 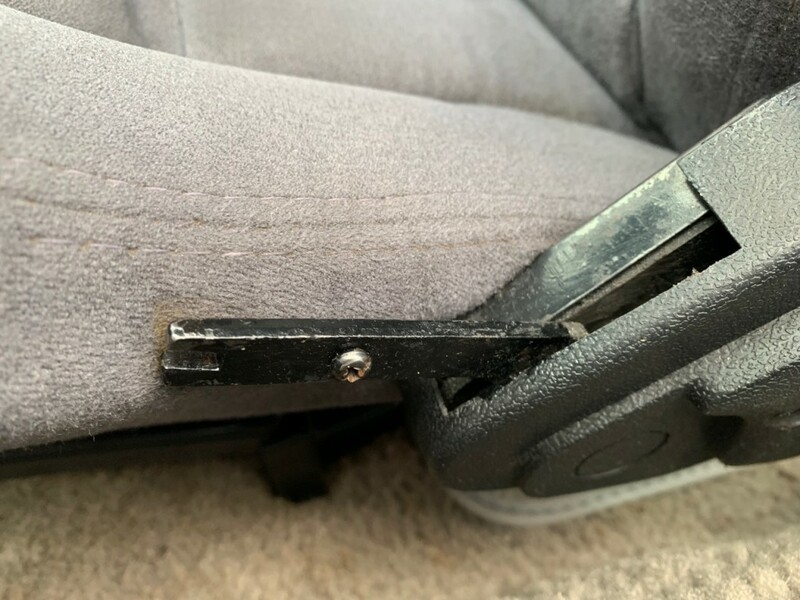 The plastic lever from the recline lever on the driver’s original Flofit seat is missing, a common issue. 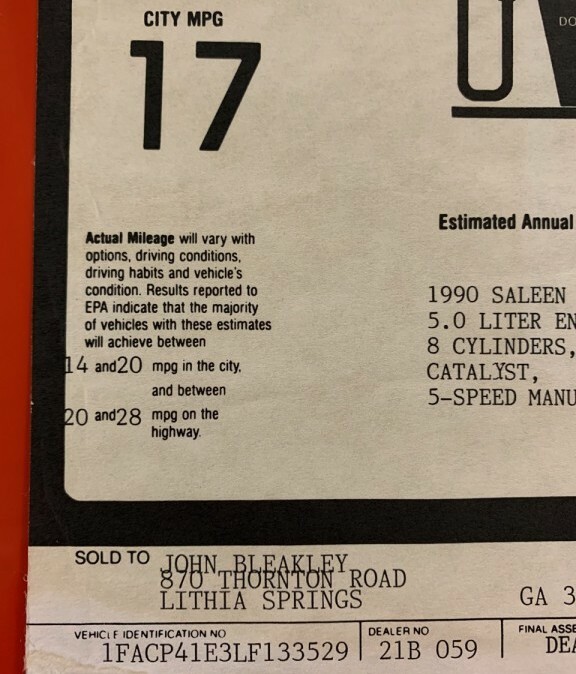 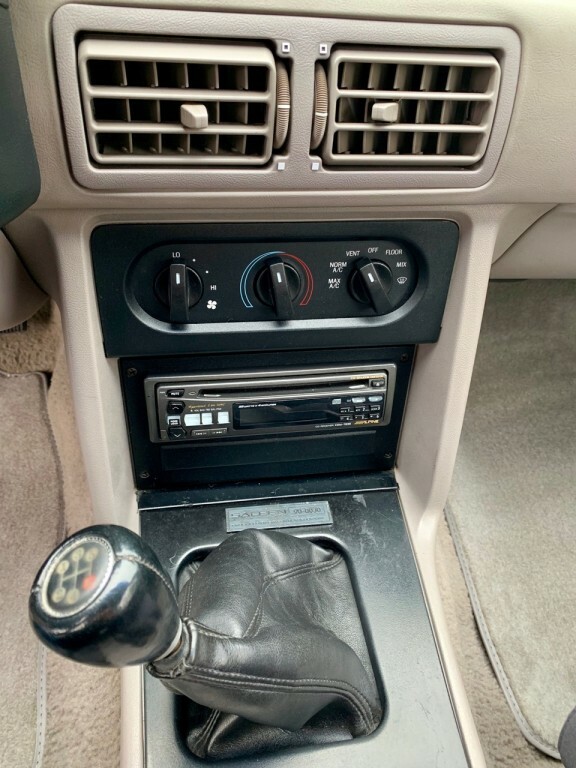 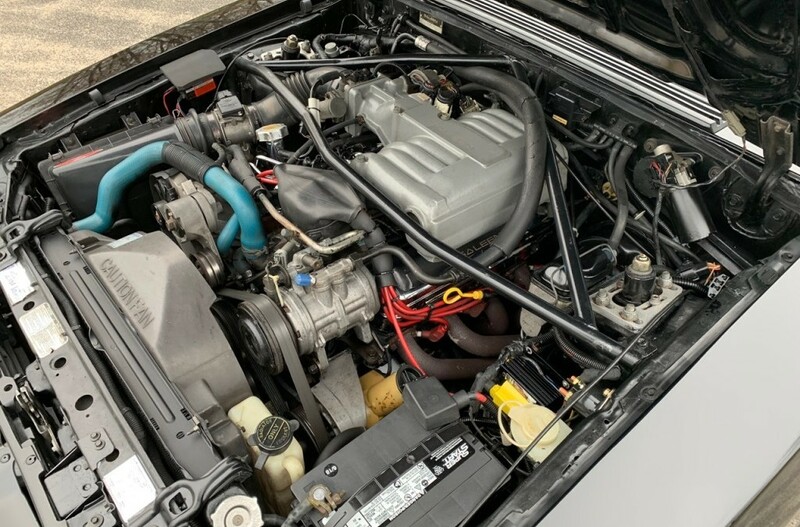 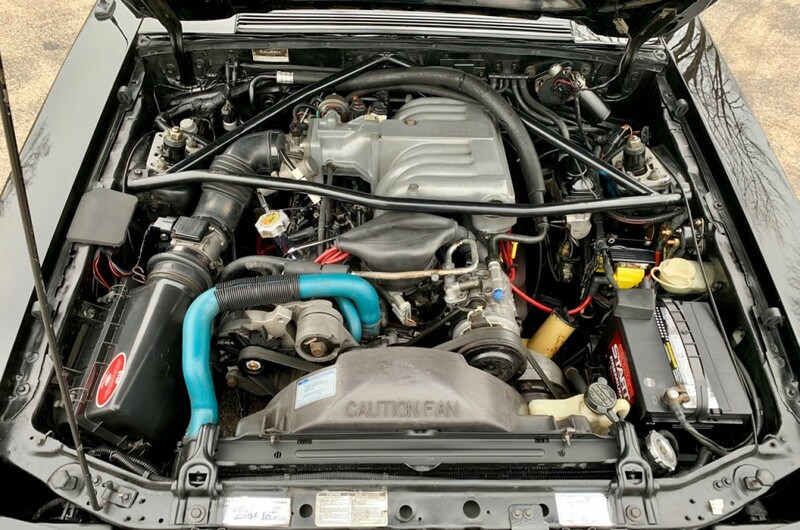 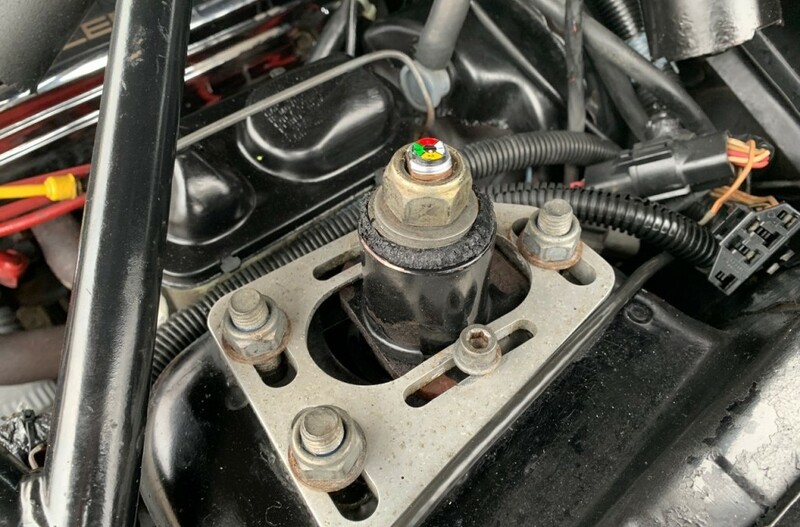 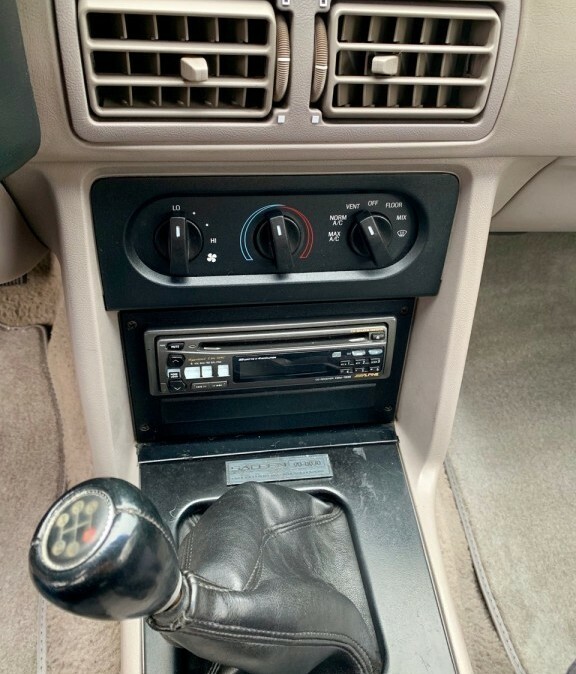 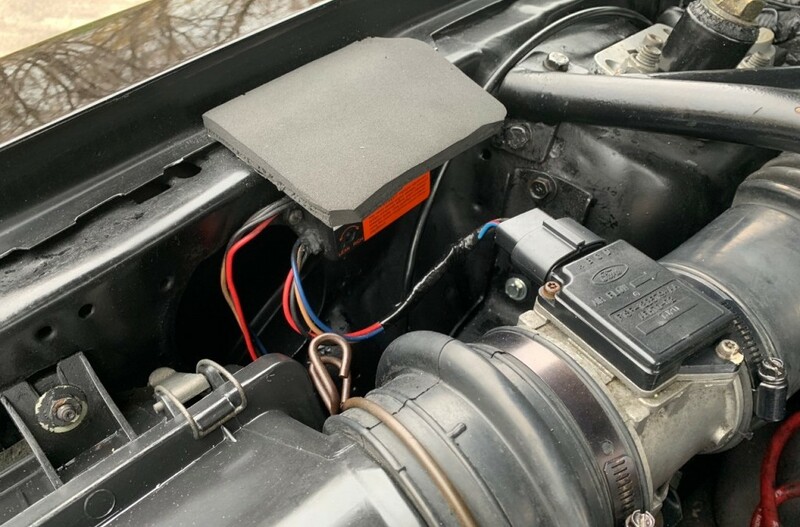 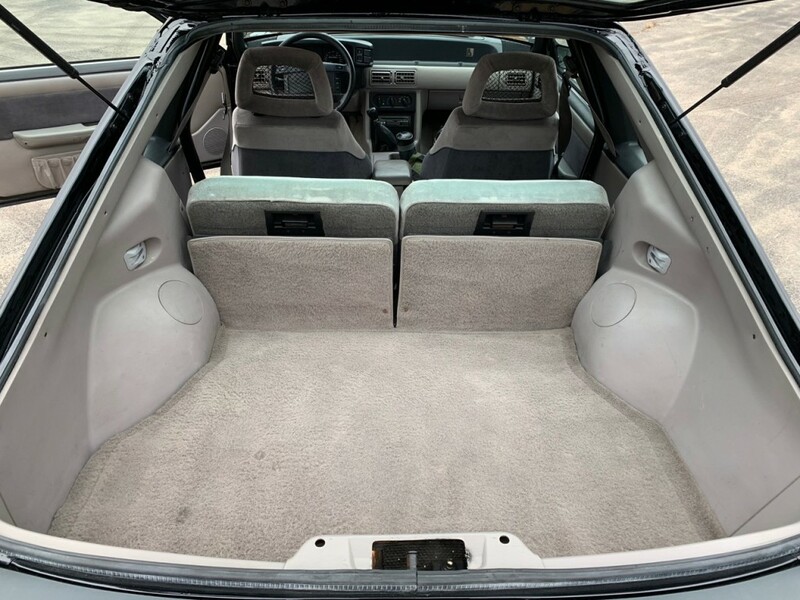 The car also has no catalytic converters or smog pump just as it has been since the conversion to an Impressor Stage 2 + car in 1990. 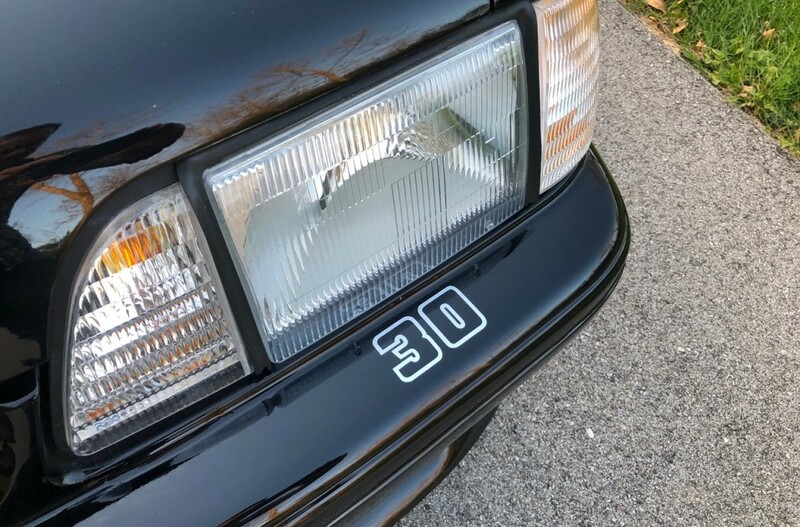 To give you a better feel for how #30 looks and sounds I’ve made a short video that you can watch by clicking here. 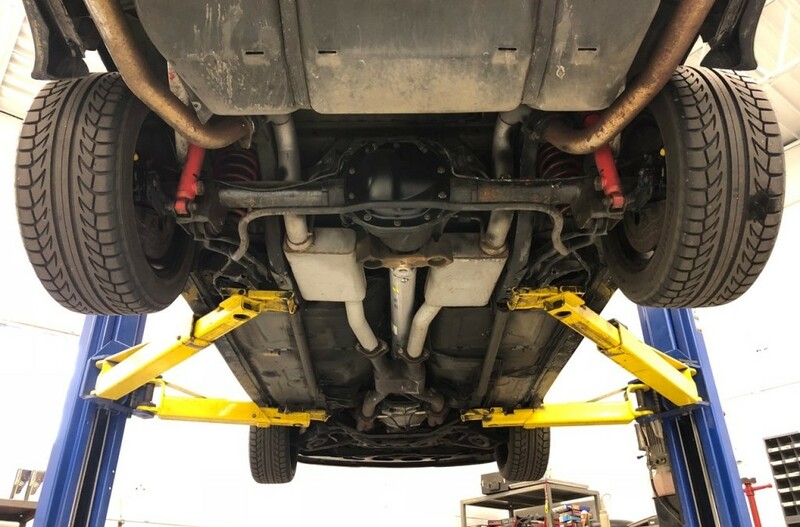 As you can see from the video the car gets up and goes and makes a sound that is out of this world! I’ve driven it frequently during my ownership and it is very strong and a blast to drive. 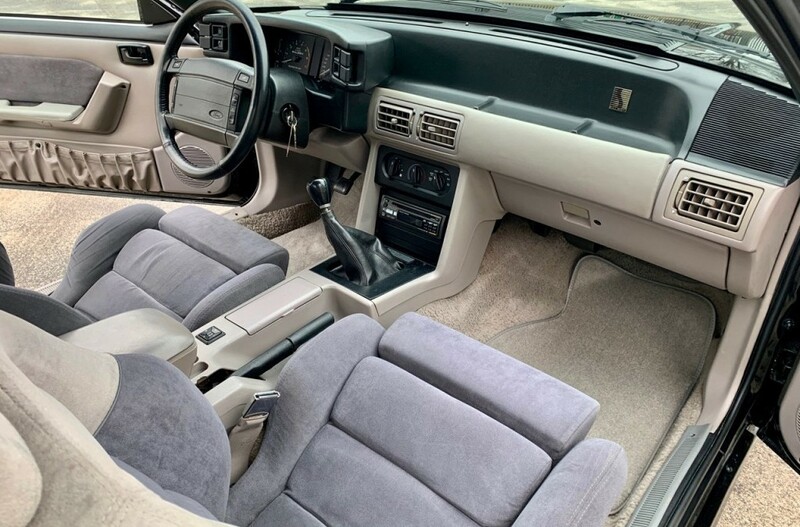 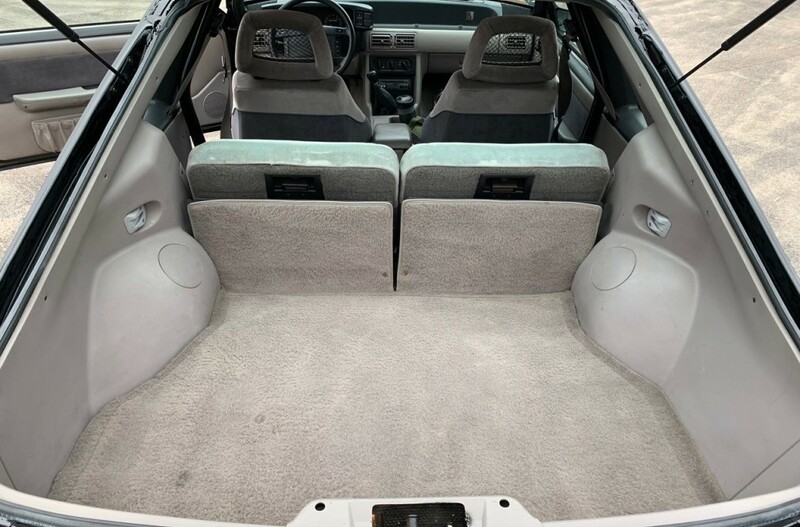 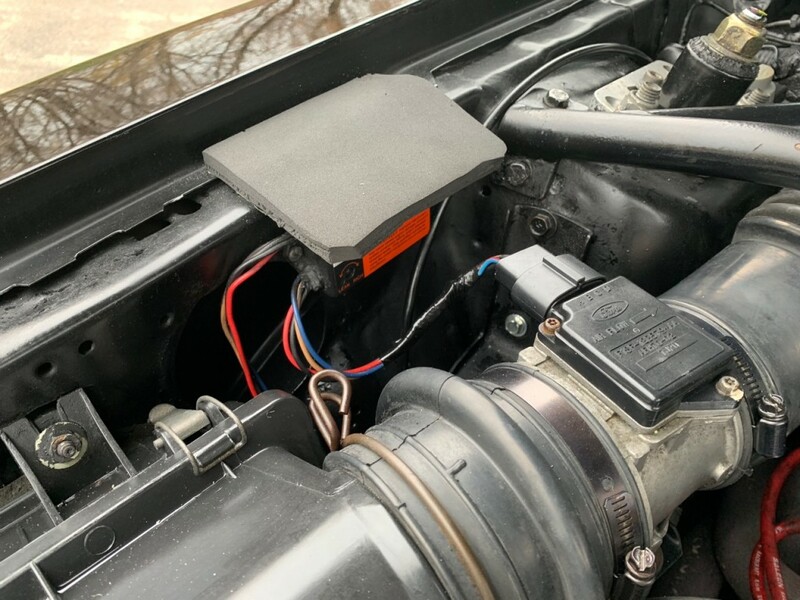 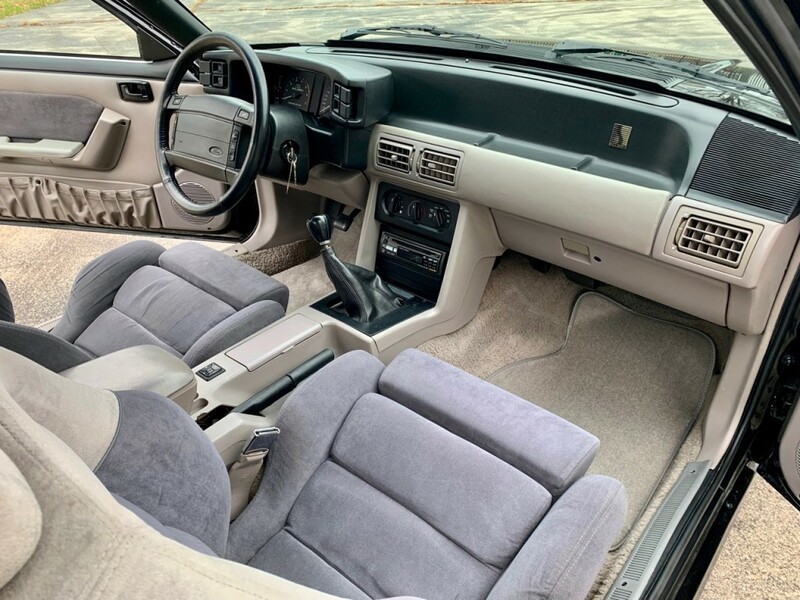 The A/C blows cold, all of the power accessories work as they should, and it needs nothing to hop in and enjoy. 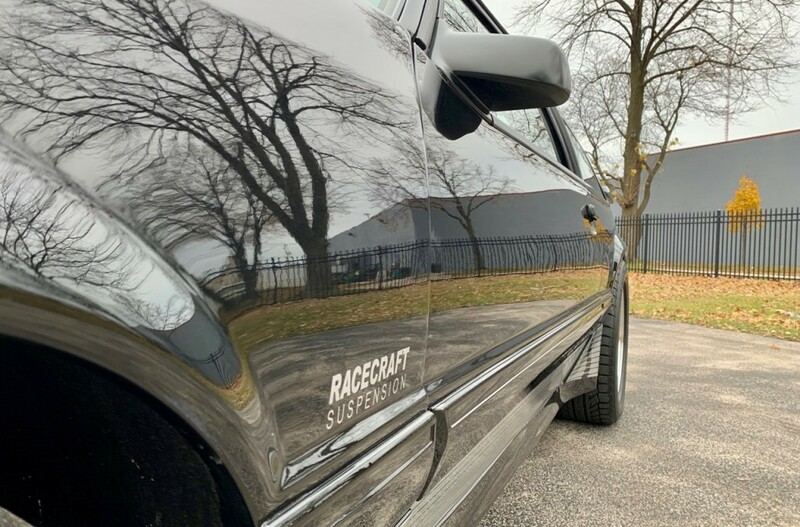 It is also the perfect car to show up with at any Cars & Coffee, SOEC meeting, or even be the star of any Radwood show! 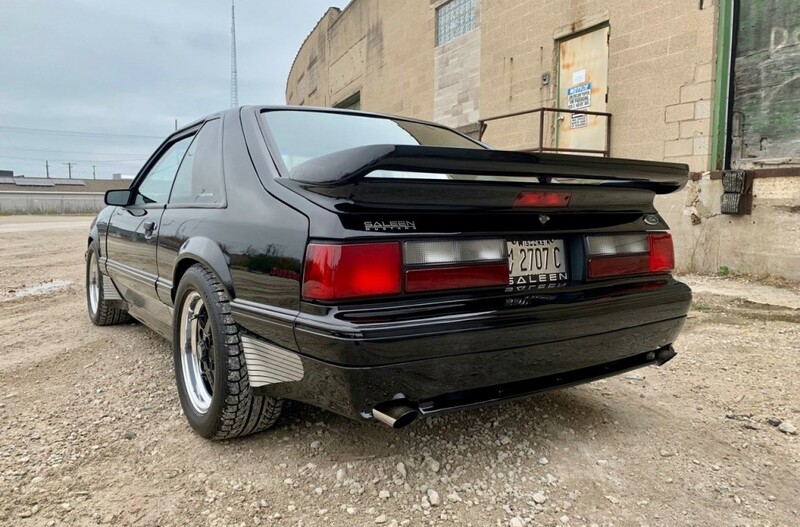 No matter the venue people love it when this car comes rumbling in. 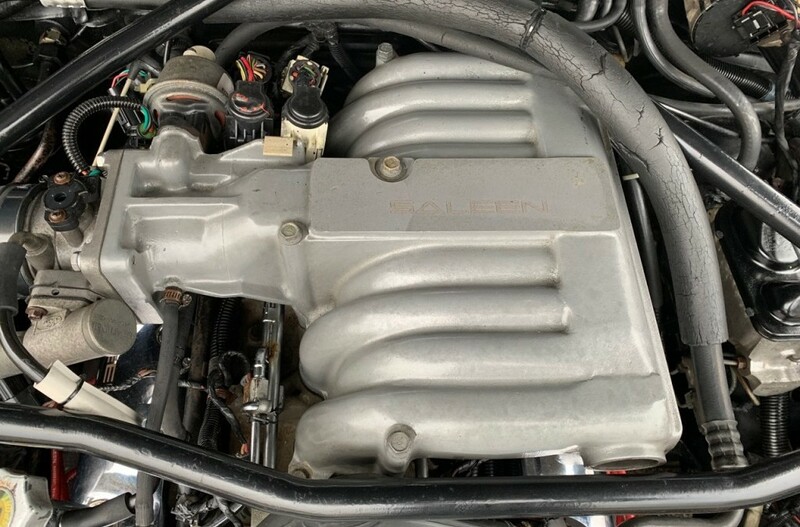 The similarities between 1965-1967 Shelby Mustangs and these early Saleen Mustangs are many, and with good reason. 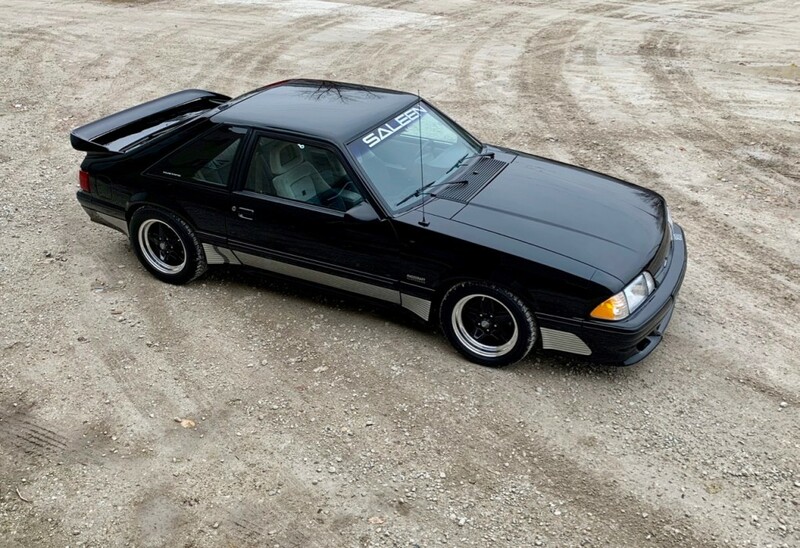 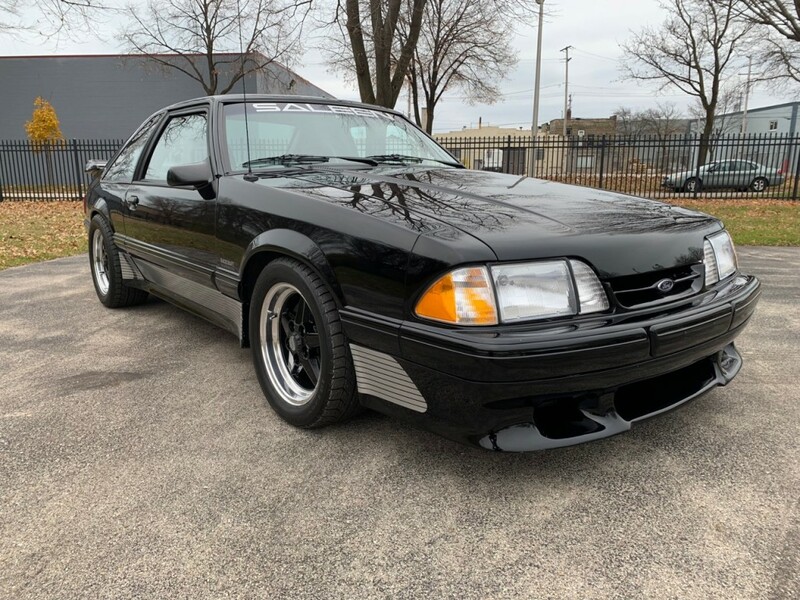 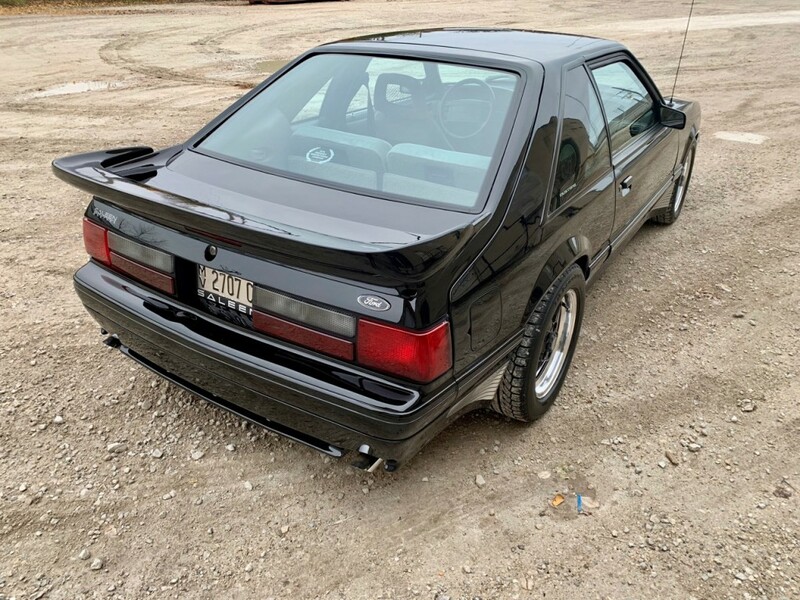 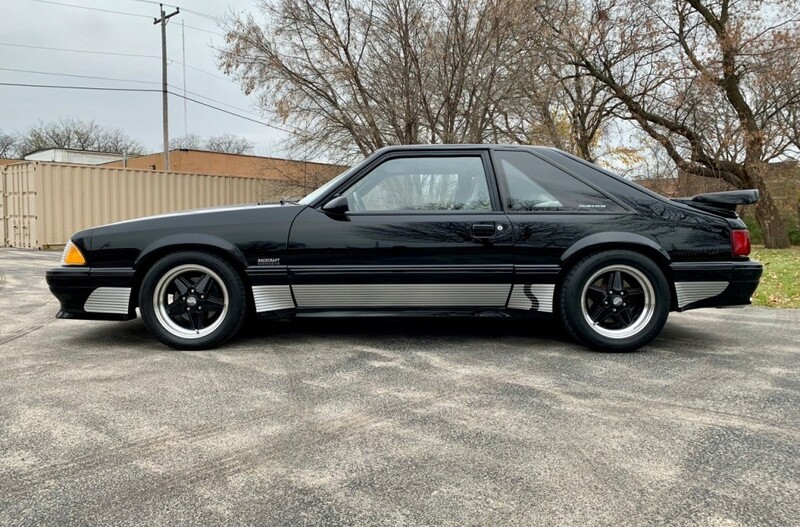 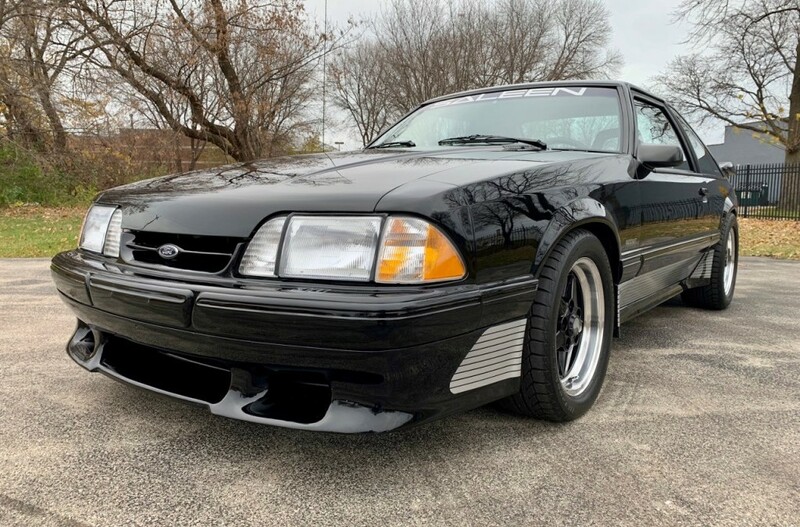 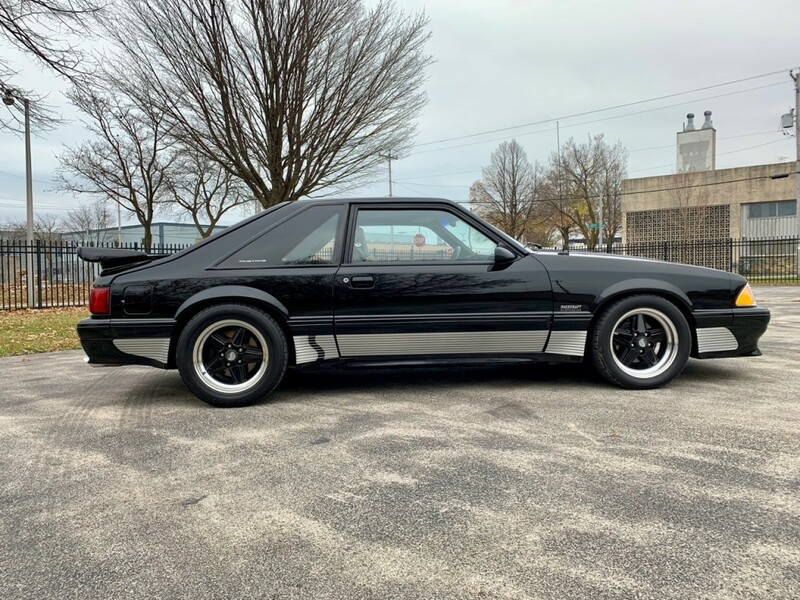 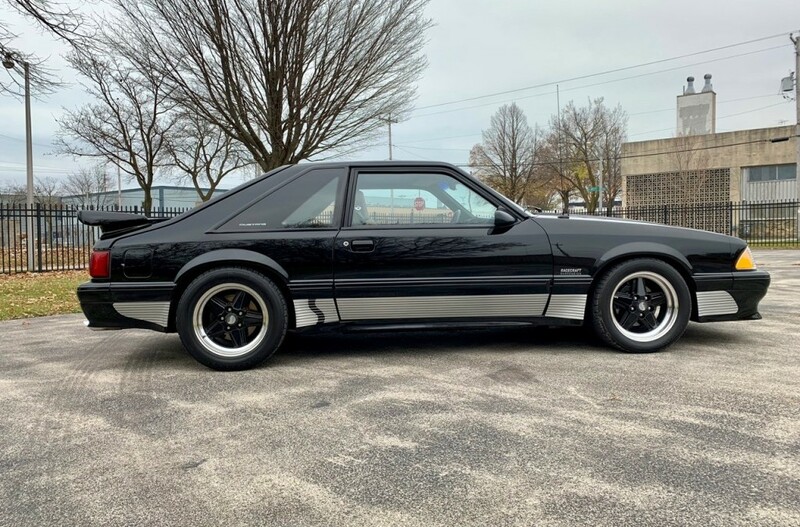 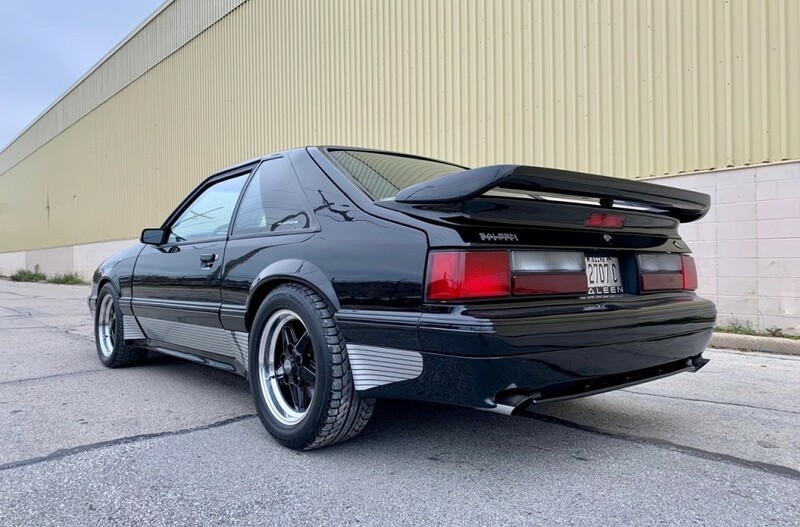 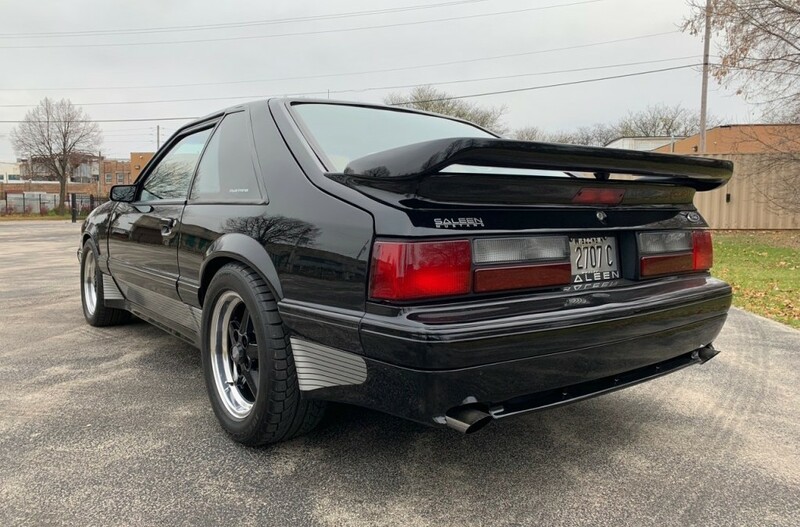 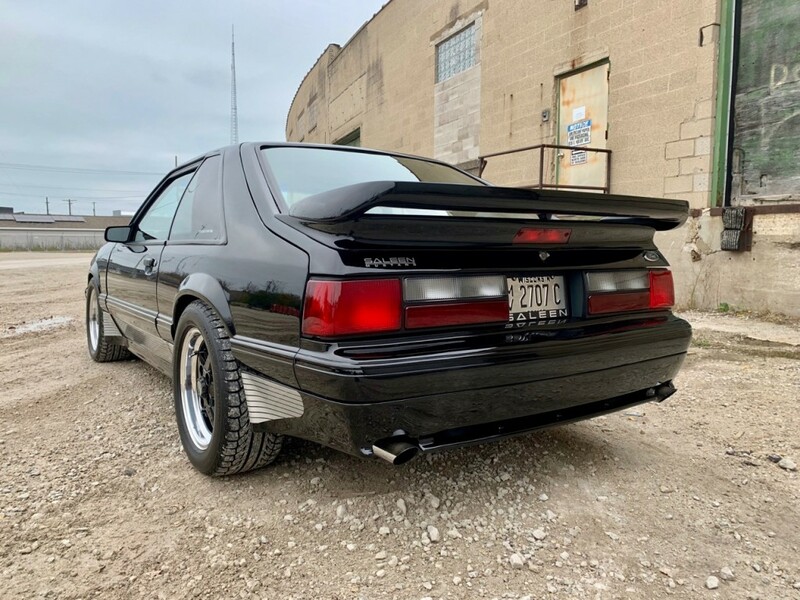 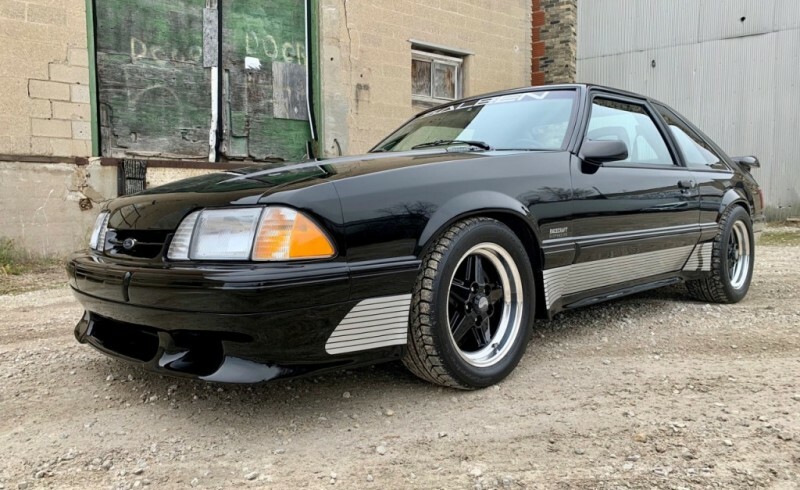 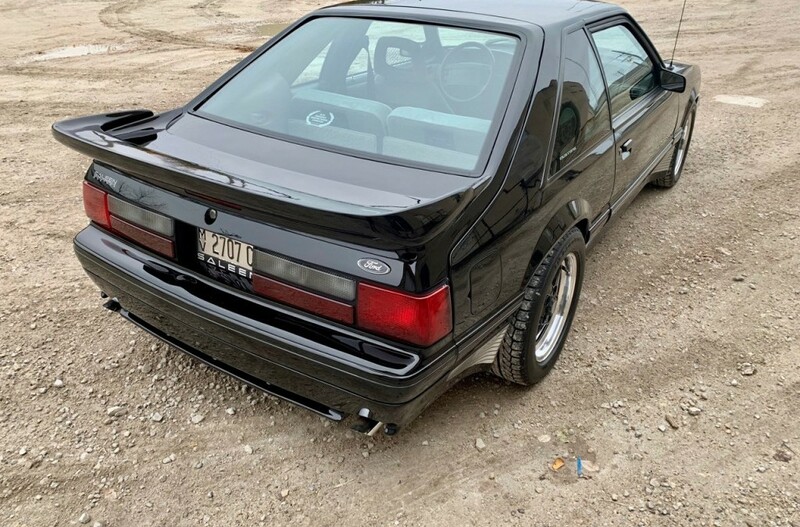 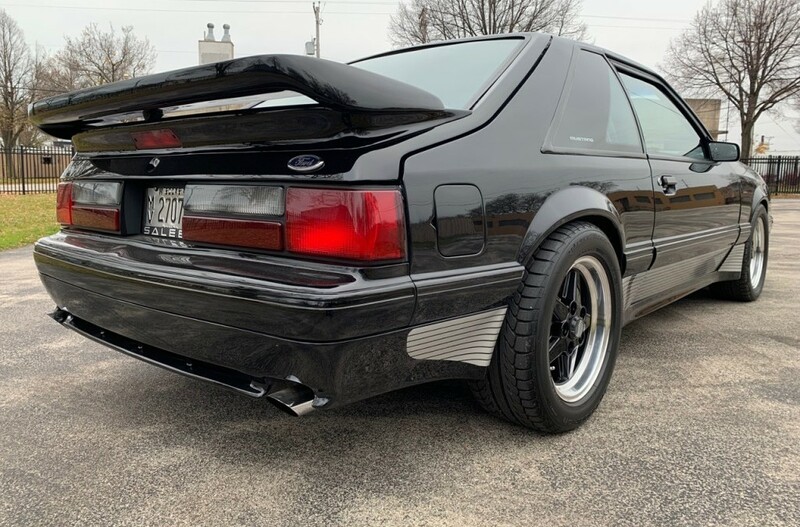 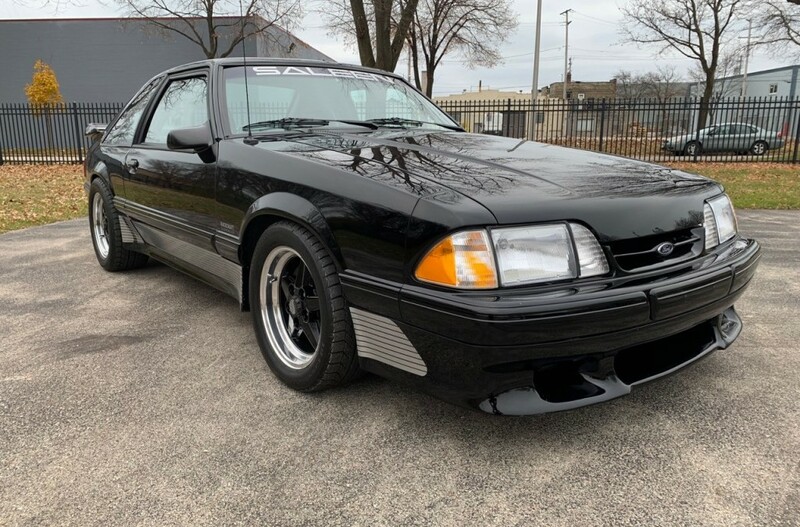 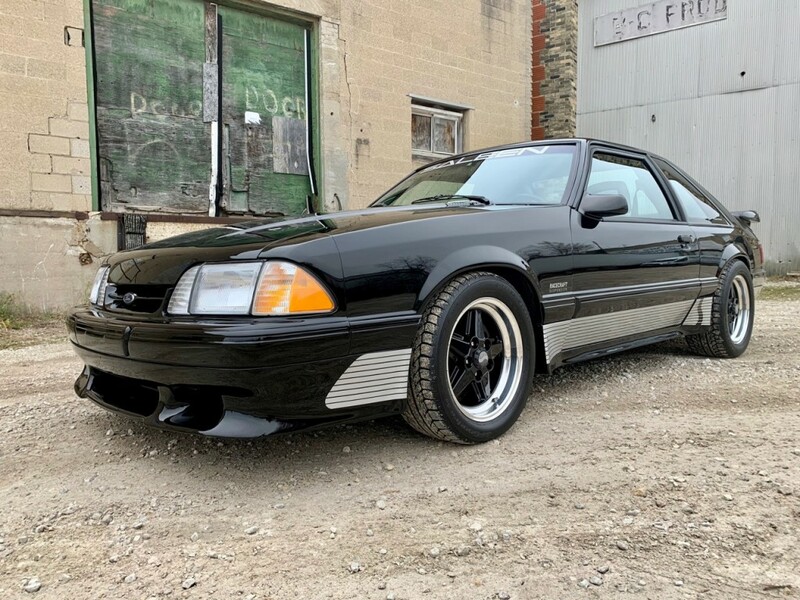 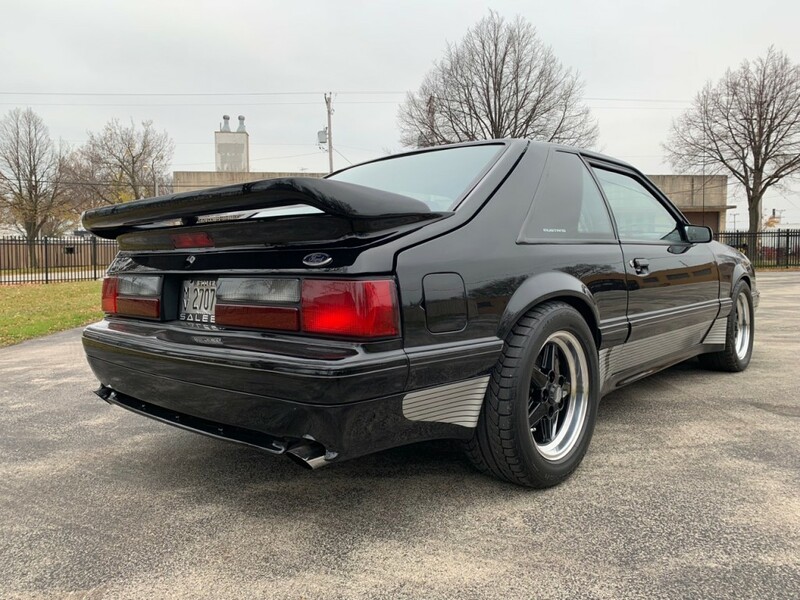 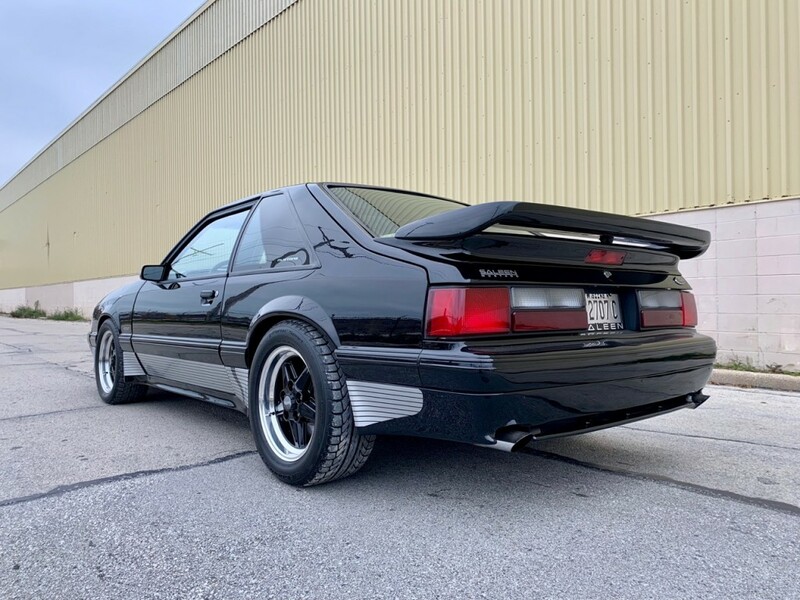 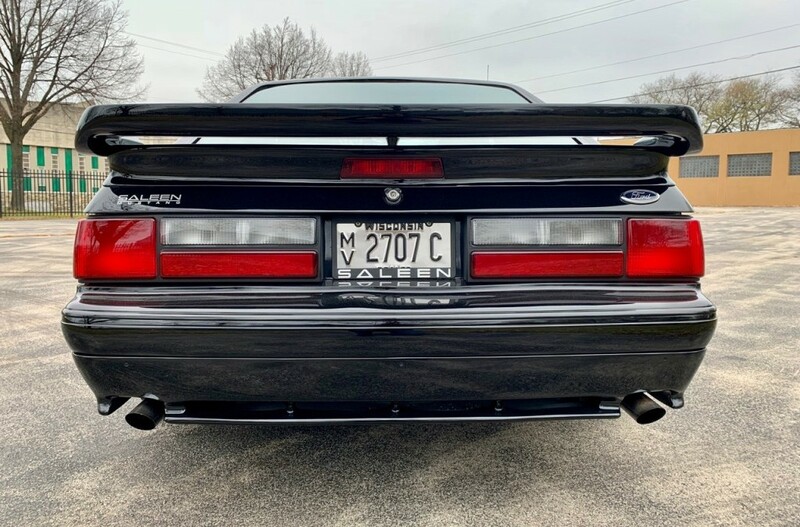 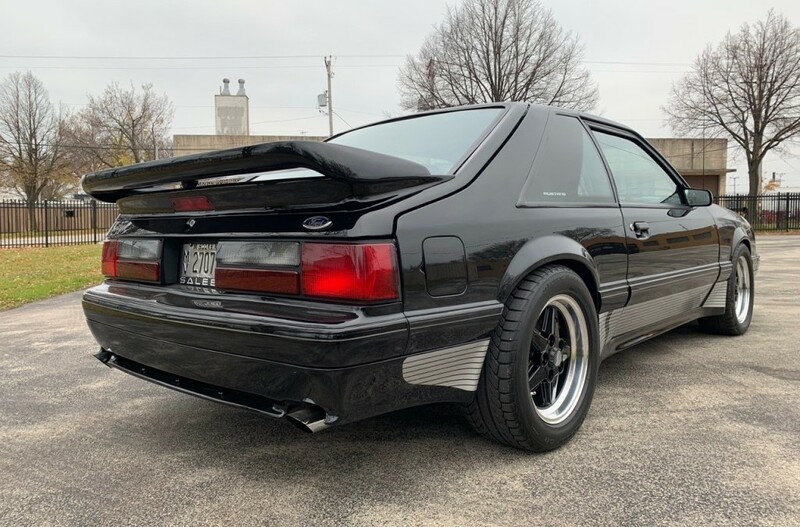 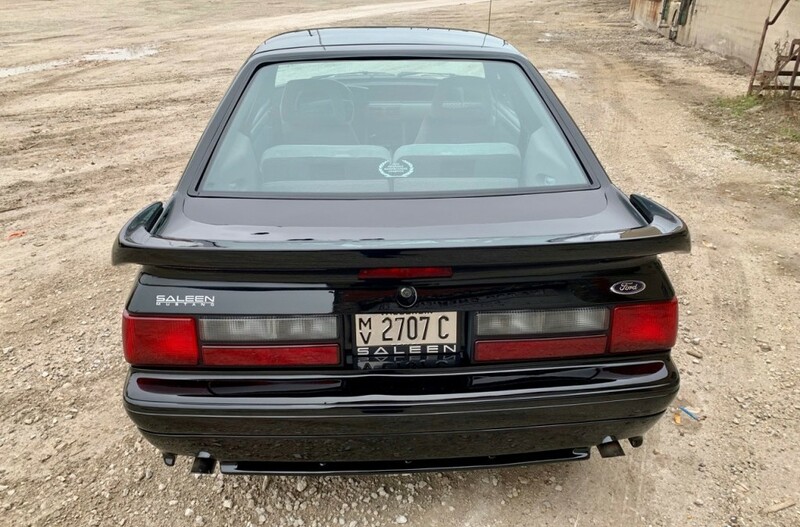 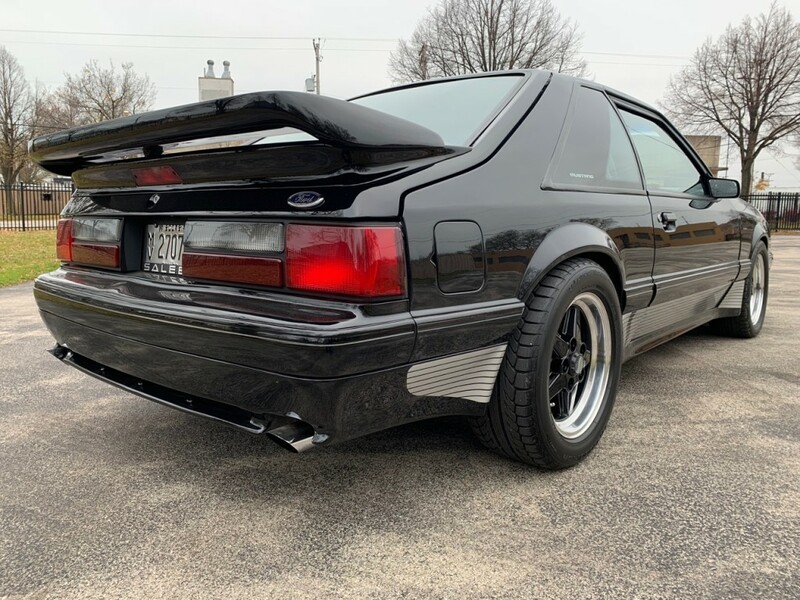 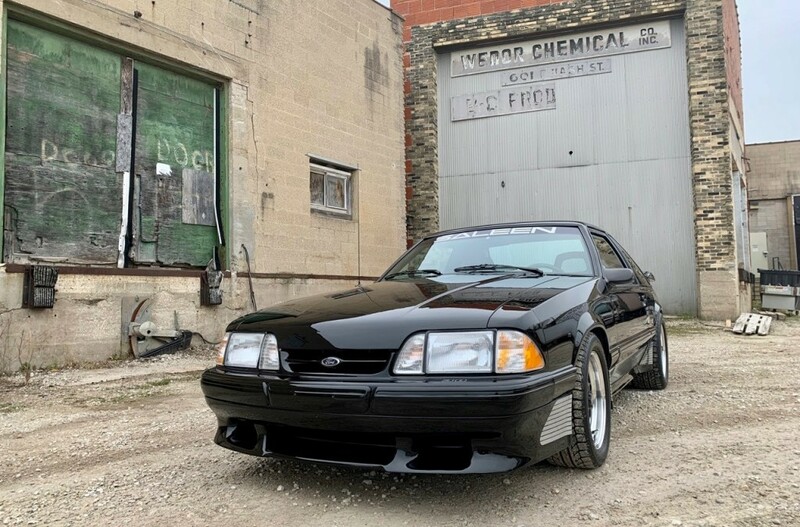 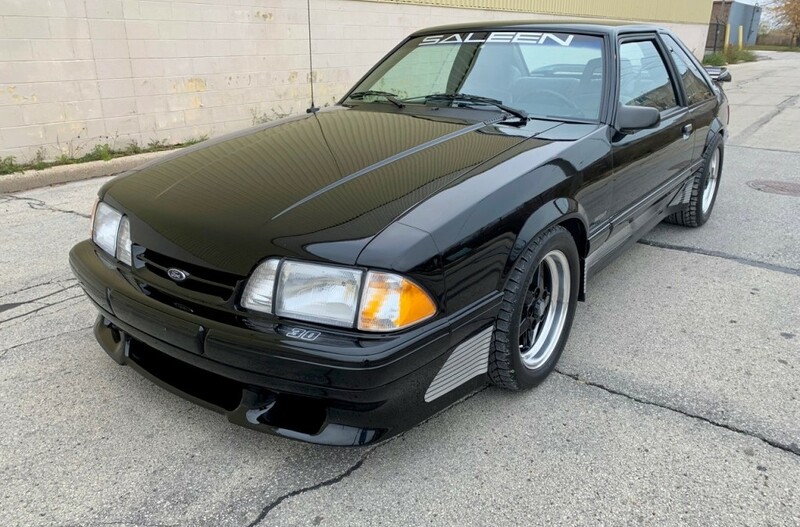 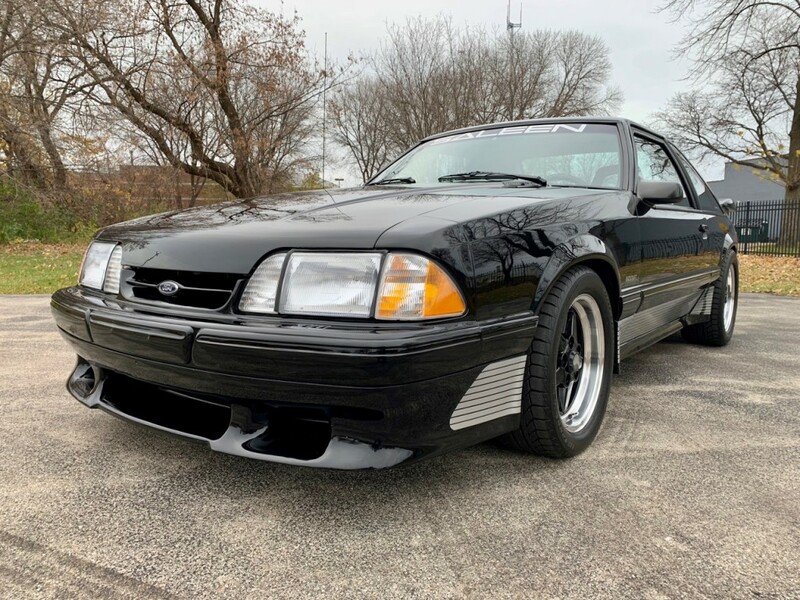 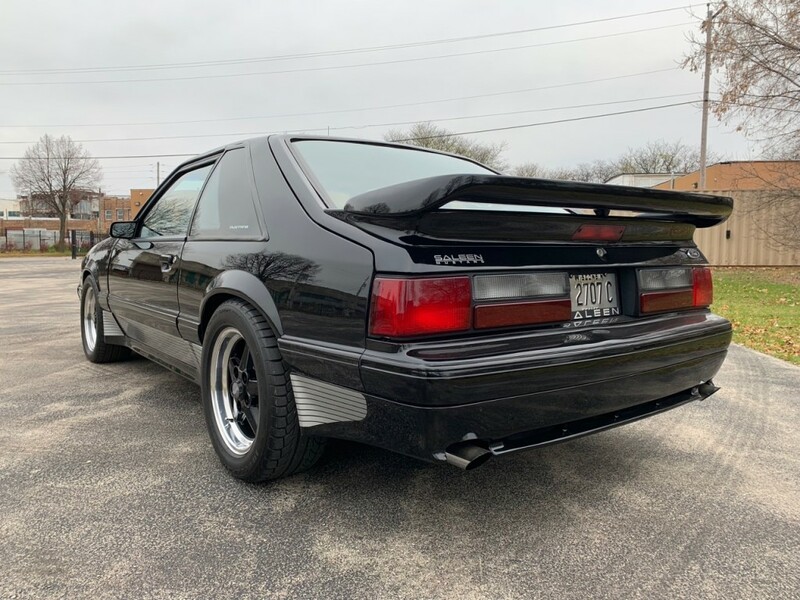 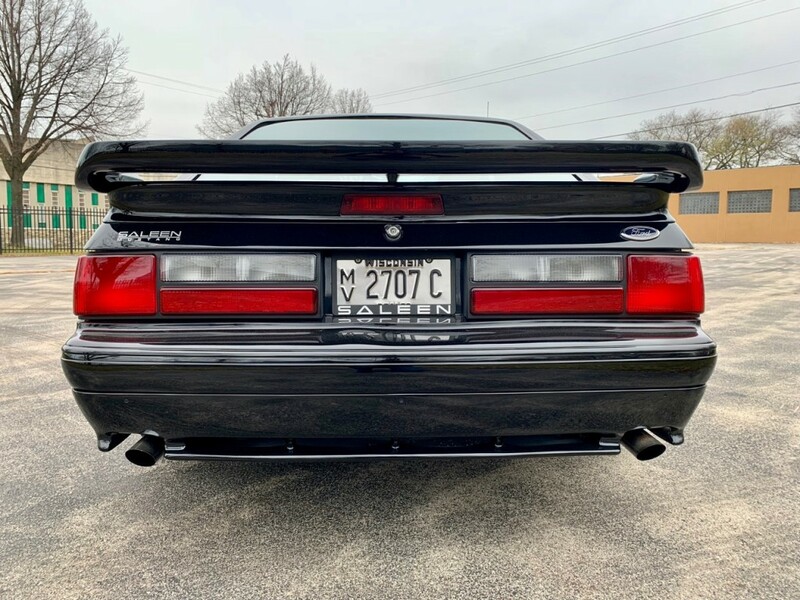 But the one similarity that stands out is that in the future people will also say “why didn’t I buy a Fox Body Saleen when I could?” And of the Fox Body Saleens it would be really hard to go wrong with #30, or beat it in the “bang for the buck” category.